The War of 1812 was a 32-month military conflict between the United States and the British Empire and their Indian allies which resulted in no territorial change between the Empire and the USA, but a resolution of many issues which remained from the American War of Independence. The United States declared war in 1812 for several reasons, including trade restrictions brought about by Britain's ongoing war with France, the impressment of American merchant sailors into the Royal Navy, British support of American Indian tribes against American expansion, outrage over insults to national honor after humiliations on the high seas, and possible American interest in annexing Canada. 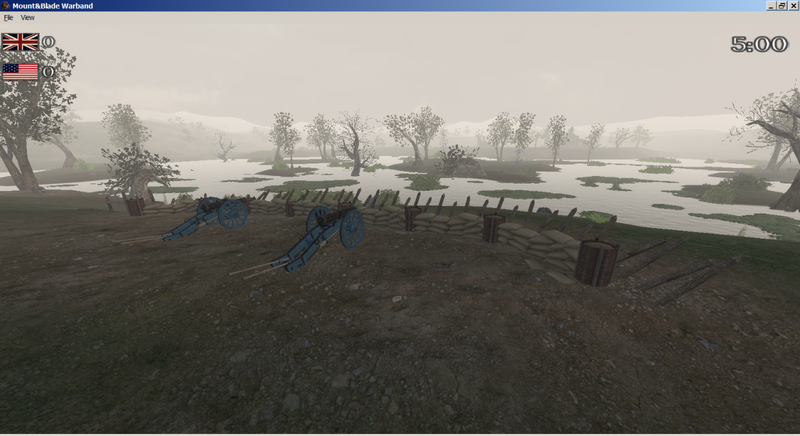 Unique Field Cannons for Each Faction. 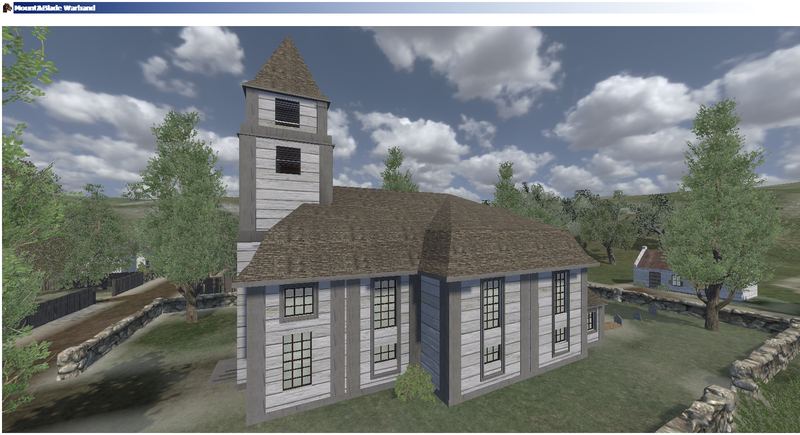 New Building Textures for the Wood and White Building Sets. 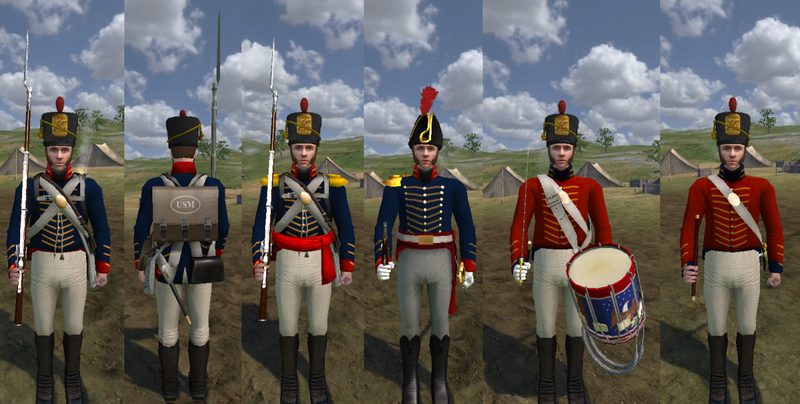 The War of 1812 module in this download is the full and final version of the mod. 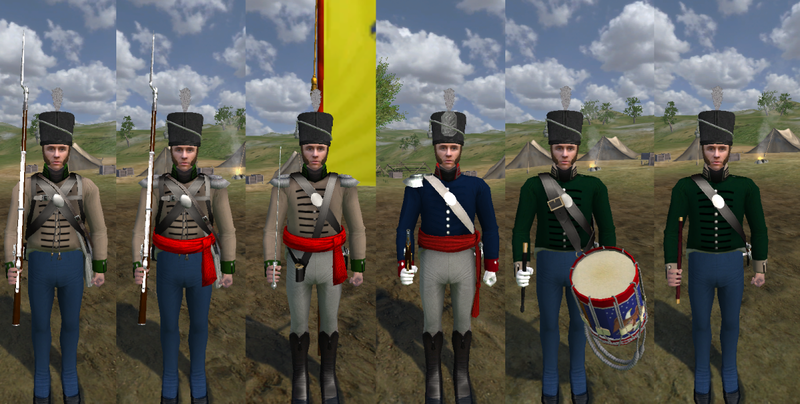 You should delete any older versions of the mod in your Warband Napoleonic Wars modules folder located at the path C:\Program Files (x86)\Steam\SteamApps\common\MountBlade Warband\Modules such as Warof1812V2 Version 2 as it is no longer supported by any servers and there will be no upcoming patch to convert it to the War of 1812 module, full and final version. Extract the files from the download. 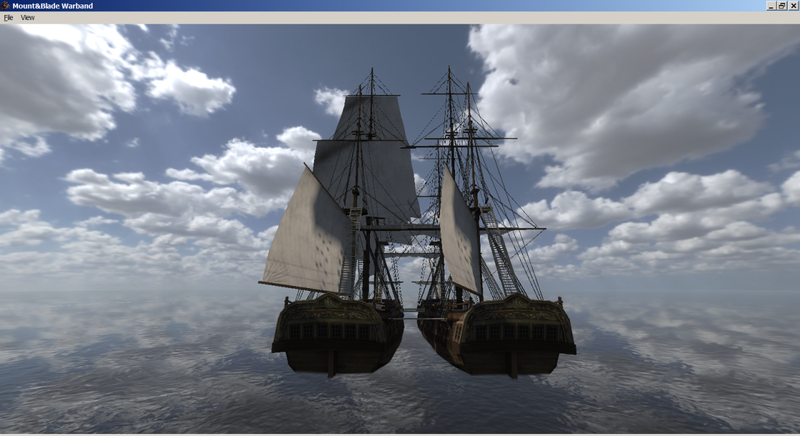 Copy and paste the files inside the BRF folder onto the Resource folder and the files inside the DDS folder onto the Textures folder of the War of 1812 module. 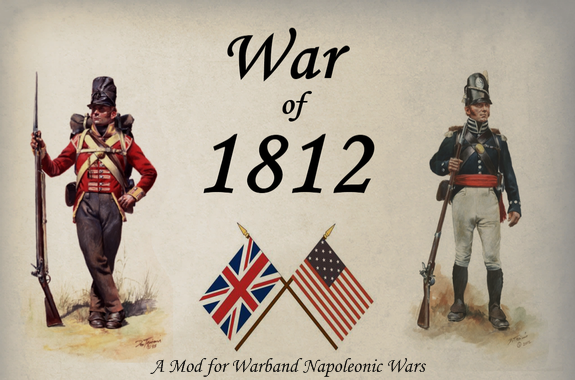 Path to War of 1812 module folder: C:\Program Files (x86)\Steam\SteamApps\common\MountBlade Warband\Modules\War of 1812 Replace destination files when prompted. Installation complete. 1. The shape of the US knapsacks has been improved so they are less square with a larger outside flap and a smaller bottom. 2. 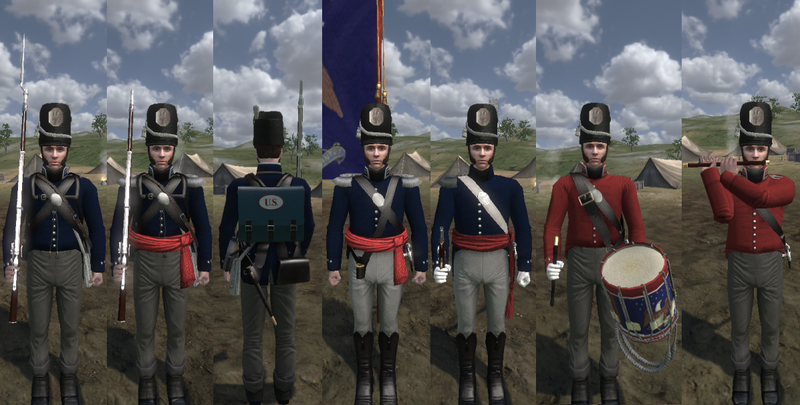 The US Light Dragoons saddle has been changed to eliminate the sheepskin cover and add a blue saddle blanket with white edging. 3. The guard on the British figure eight cutlass has been blued as per the originals. 4. 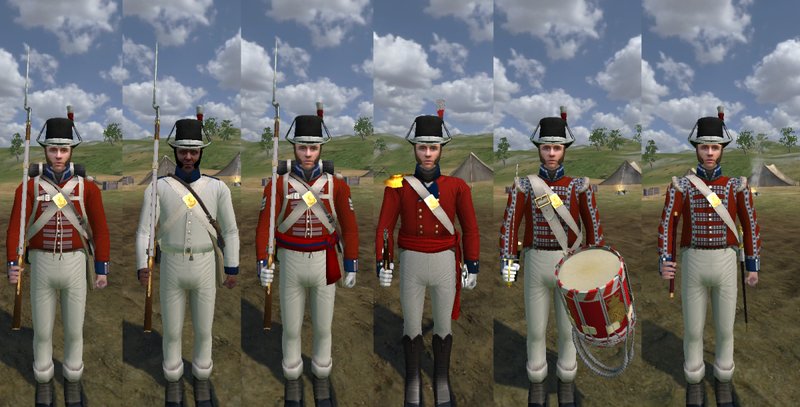 Musicians of the 5th West India Regiment have had wings and more tape trim added to their uniforms to make them more accurate. 5. 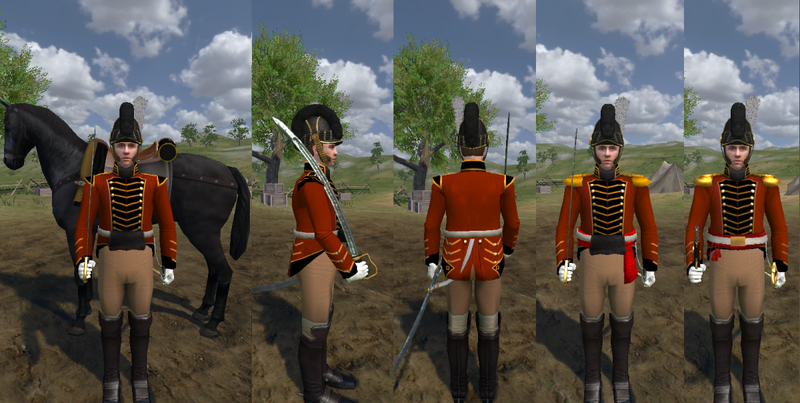 The black/yellow lace on the British 89th Foot musicians uniforms has been sharpened and made less blurry. 6. 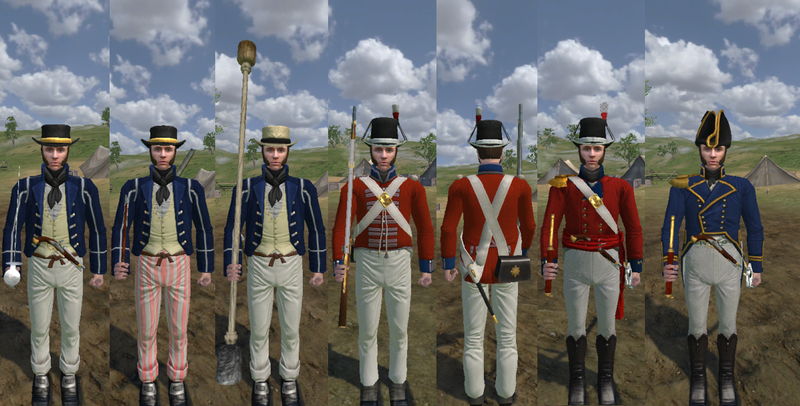 The color of the fabric textures on the British cannons tool box tops has been changed from grey to tan. 7. 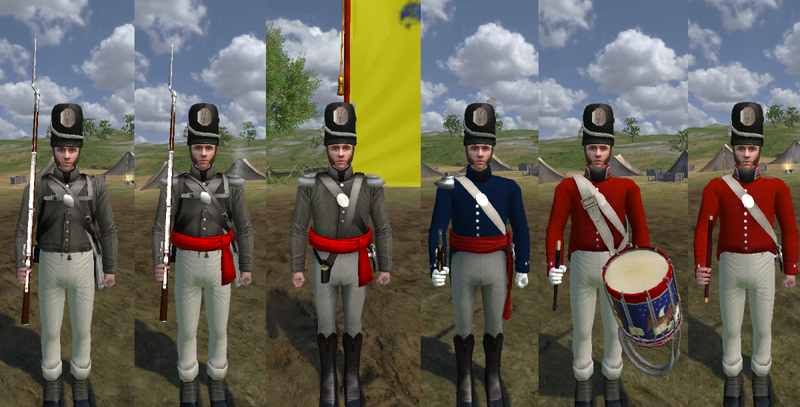 The grey on the Canadien Voltigeurs wings has been changed to better match their uniforms. 8. 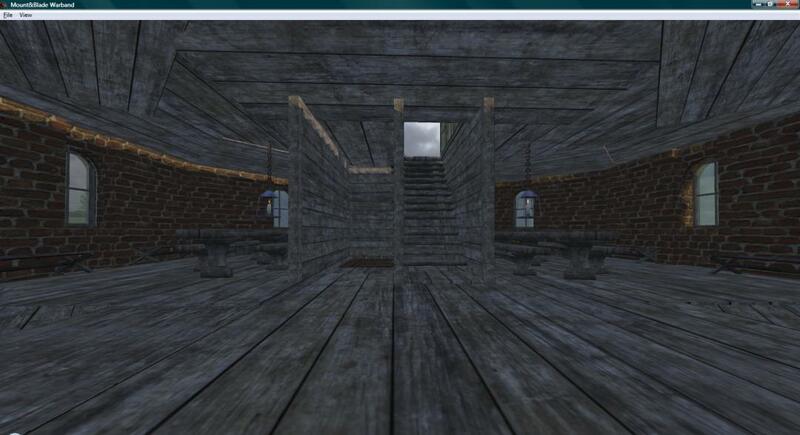 The uniform normals have had their edges softened. 9. The GLI badge has been added to the back of the pack of the light infantryman for the early war unit set. 10. 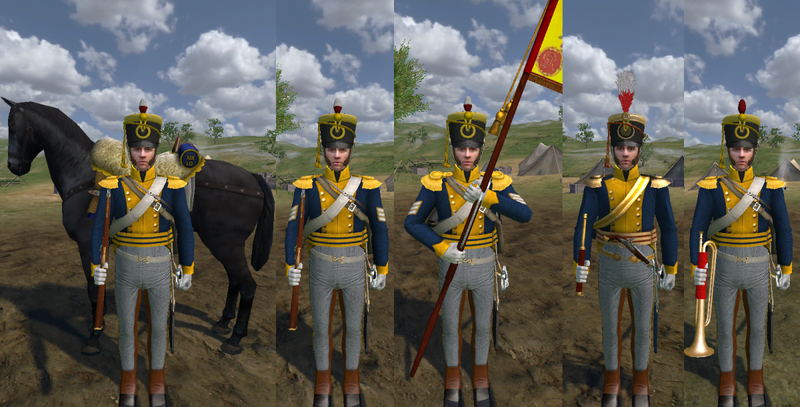 Chevrons moved up on sleeve of early war light dragoon sgt. 11. The pants of the 1st Royal Scots Grenadiers have been bloused into half gaiters. 12. 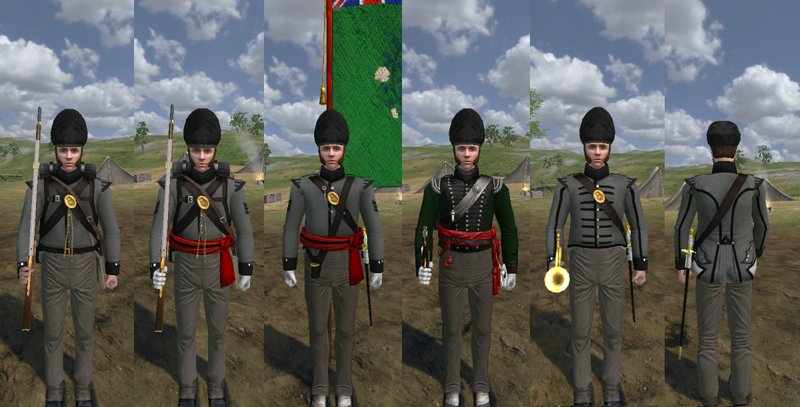 Cords have been removed from Glengarry Light Infantry shakos. 13. 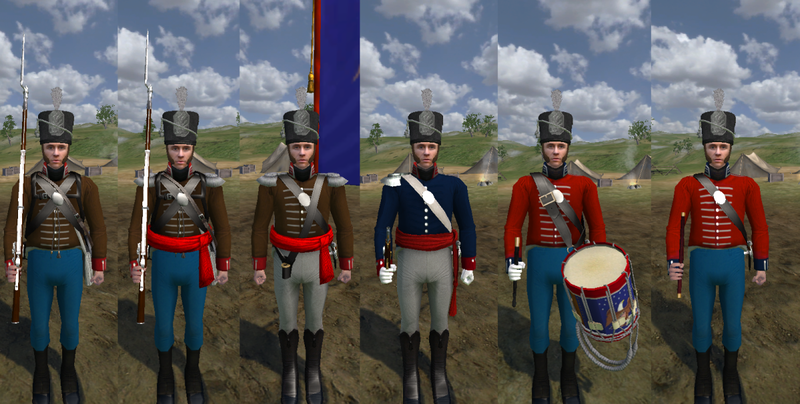 First beret resource replaced with shako for Glengarrys. 14. 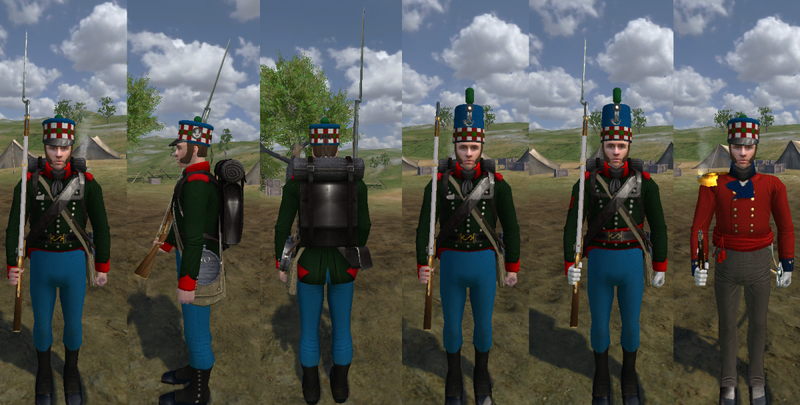 Glengarry officer's shako model changed to have fixed visor. 15. 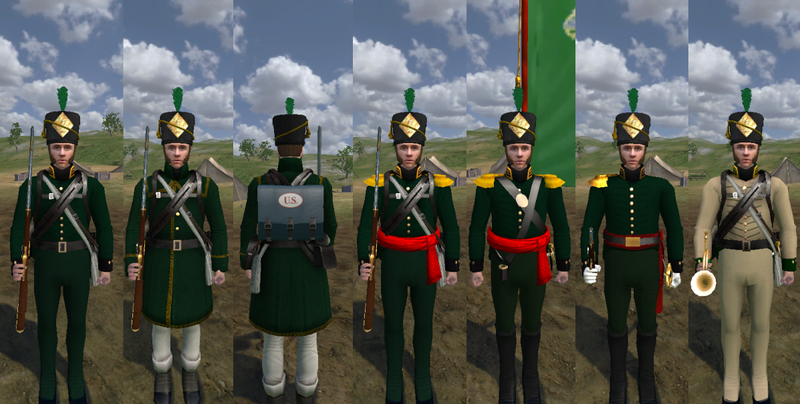 Rolled rifle pants changed from black to green. 16. 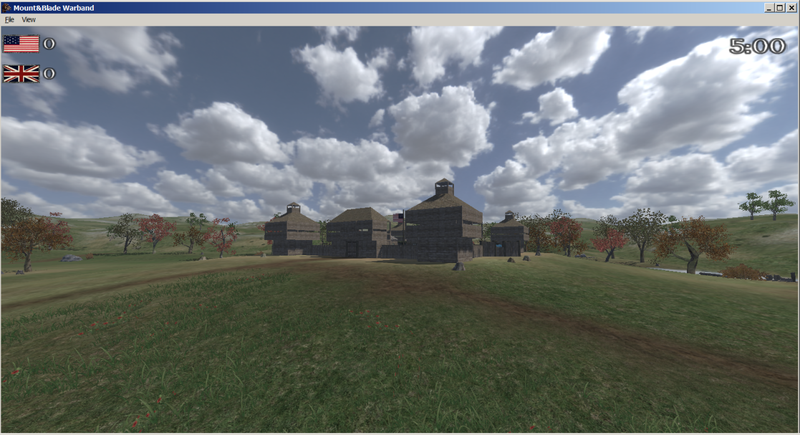 Fixed lod problem with US Light Dragoon saddle blanket. 17. 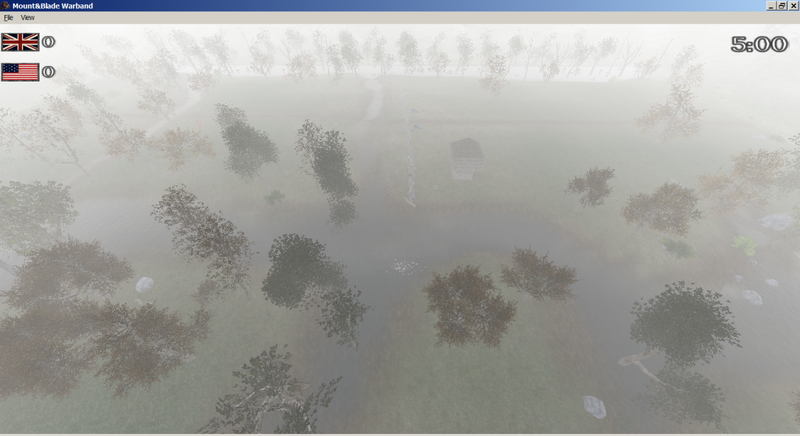 Softened normals on glengarry_variant_scottish_bonnet so the visor reflects sunlight more accurately. 18. 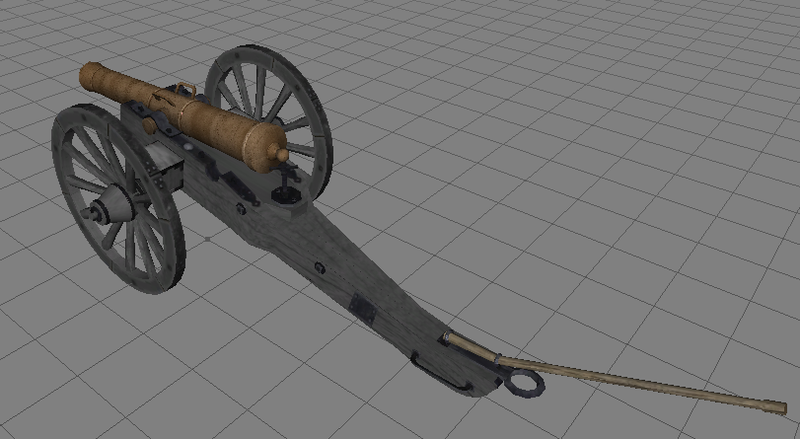 Improved British 12pdr cannon models so the aiming adjustment animation is accurate to the guns design. 19. Changed canteen and snapsack straps from brown leather to cotton duck. 20. 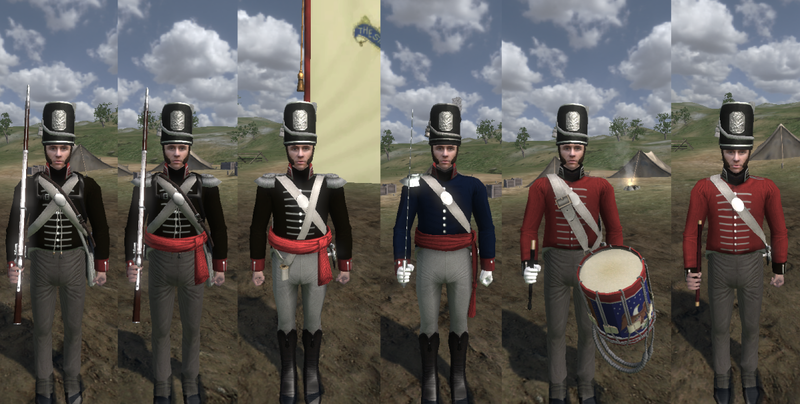 Added ribbon and bow to officers top hats and bows to US sailor hats 1 and 2 and improved the shape of all top hat brims. 21. 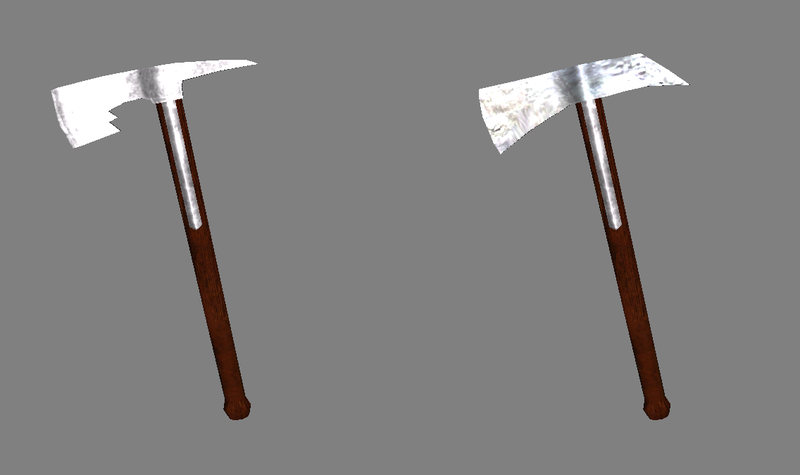 Changed the texture of naval weapons, US Sapper axe, and pike wood to unfinished and improved shape of US Sapper axe handle. 22. 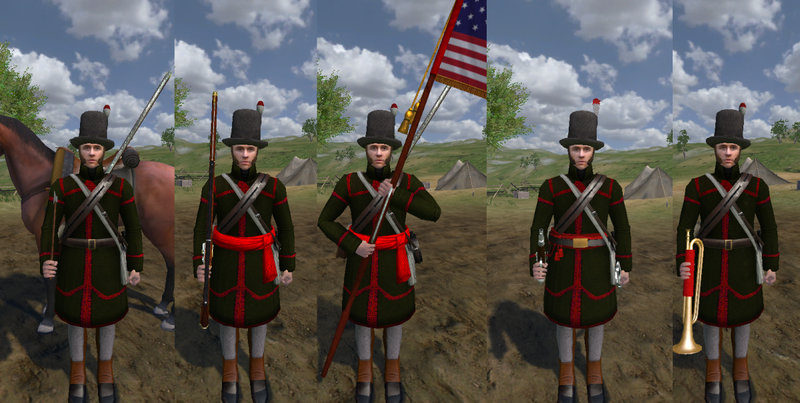 Improved Trade Musket model and textures. 23. 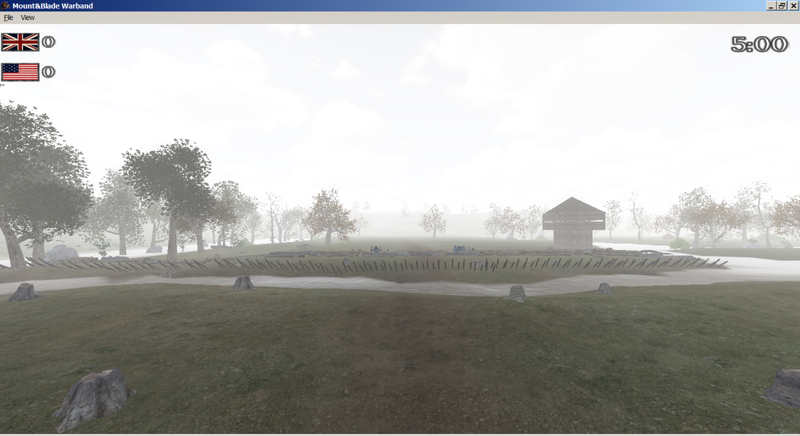 Added feathers to gunstock and spiked ball clubs. 24. 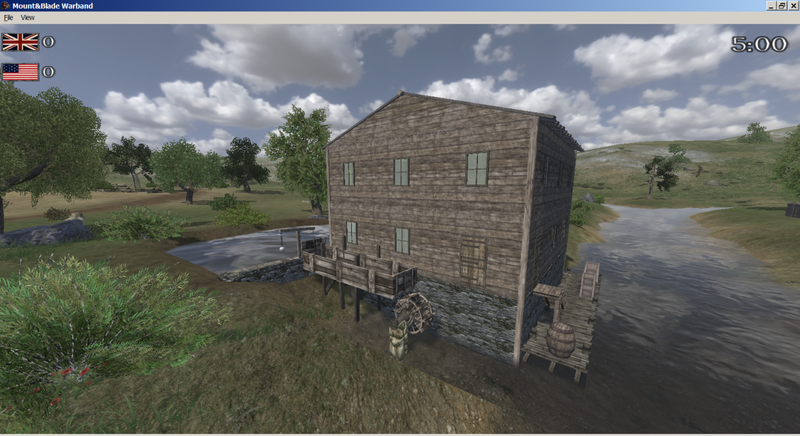 Changed position of Harper's Ferry and New Land Pattern pistols hammer and frizzen so it is the same as other pistols in the mod. 25. 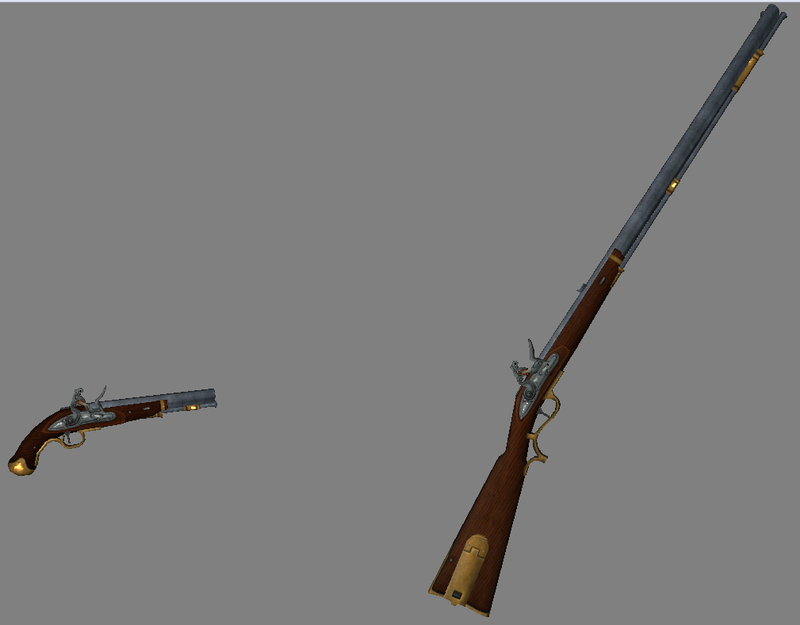 Created new North Model 1808 Navy Pistol out of the model for the old French 1766 and made the North Model 1813 more accurate. 26. 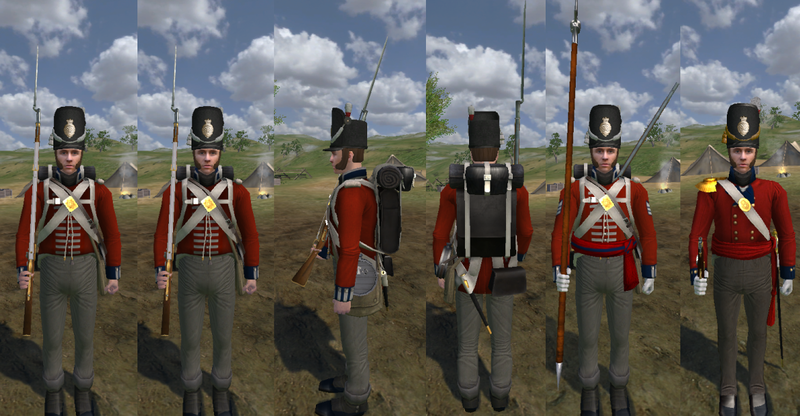 Added carrying strap back to musketoon for US Pikeman. 28. 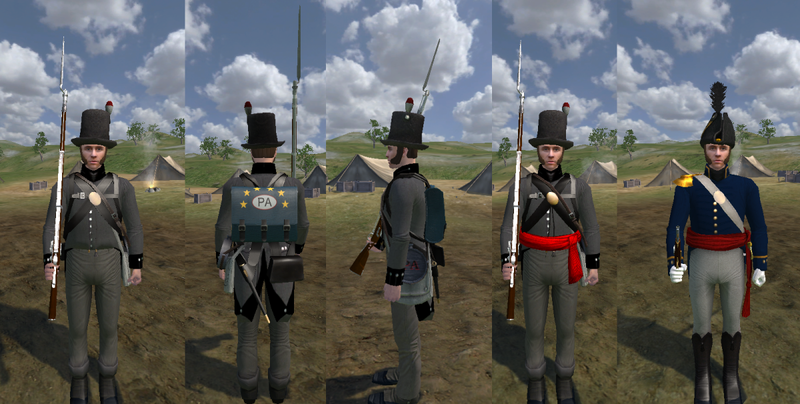 Fixed problem with lods for all top hats. 29. Removed collar boarder lace from early war 1st US Infantry rankers and musicians. 30. Changed capes on all hunting shirts from square corners to round. 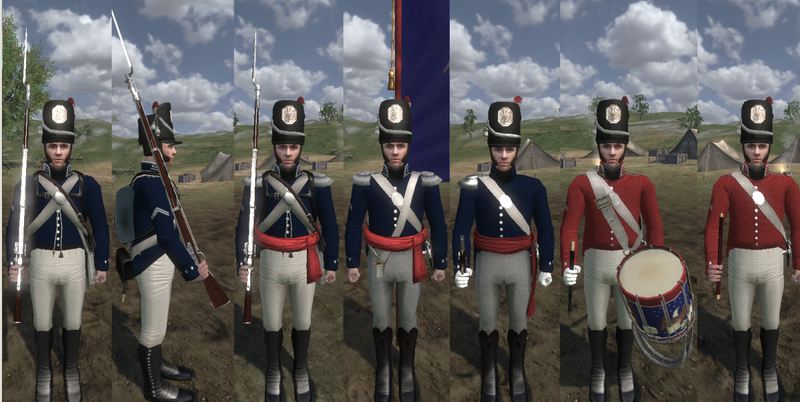 The War of 1812 mod is currently in need of public servers. 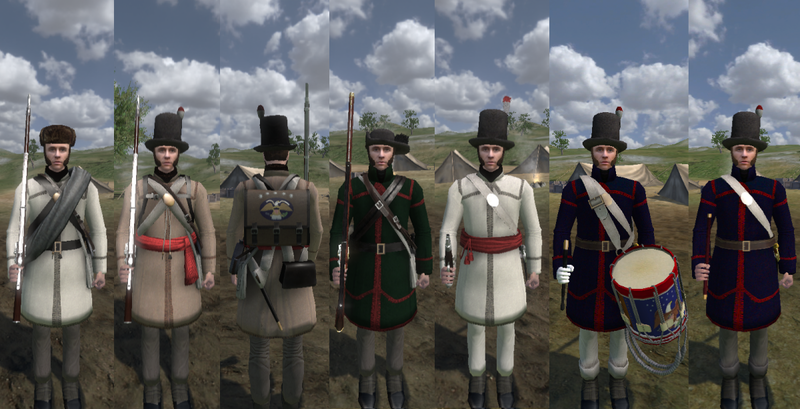 Instructions for switching between late and early war uniform sets and troops lists. 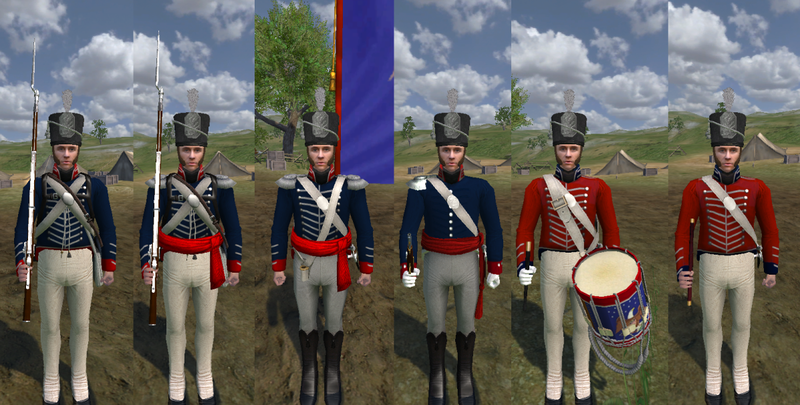 After initial download the War of 1812 module will automatically be in a late war configuration. 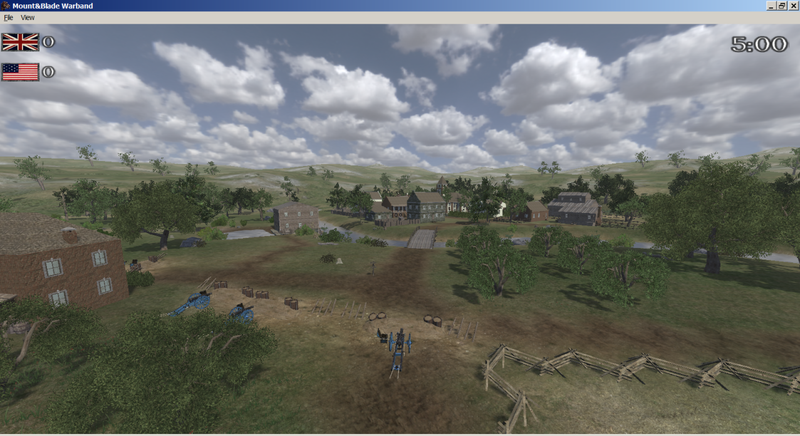 *It is recommended to put a shortcut to the path of the War of 1812 module folder on your desktop for easy access later. Your module is now in early war configuration. 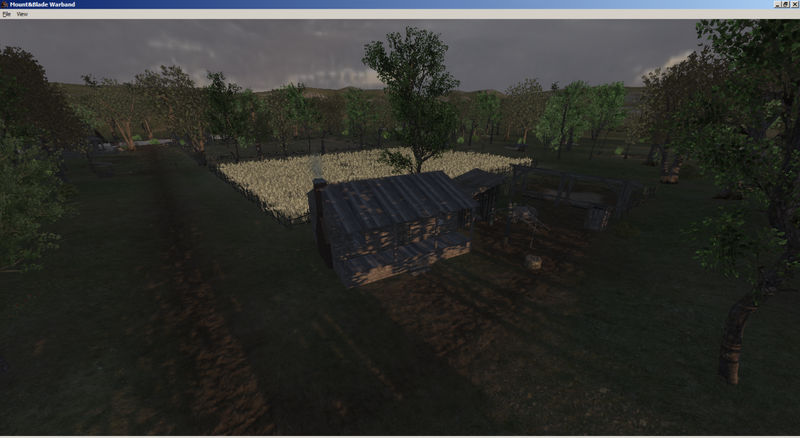 Start the module and it will now load the early war resources and troops menus. 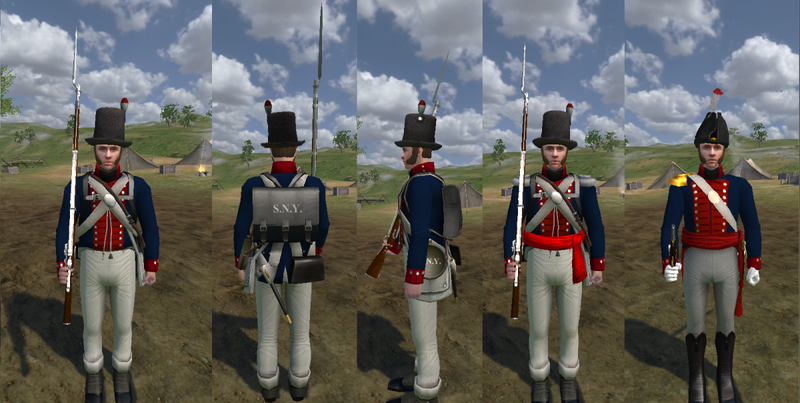 How do you get your unit to fix the bayonet to his musket? 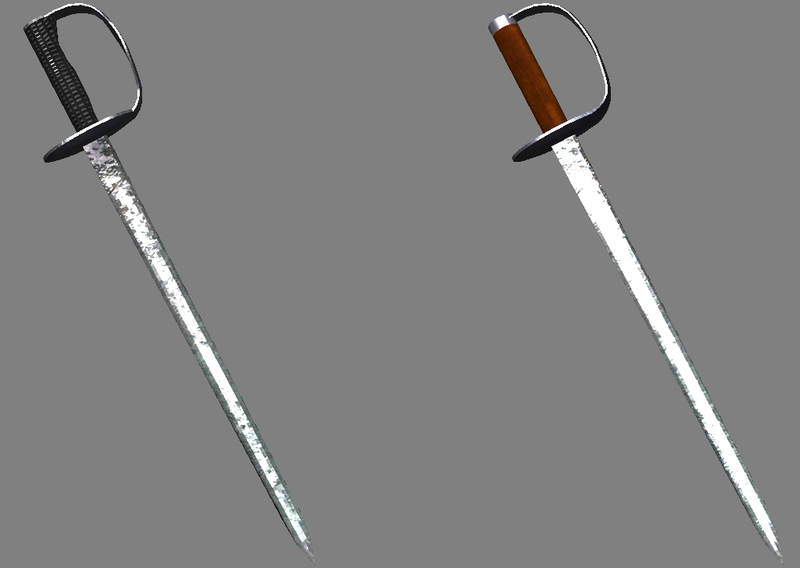 Pressing the "B" button on your keyboard will fix a bayonet to your units musket. The only musket armed unit that does not have a bayonet are the First Nations Warriors. 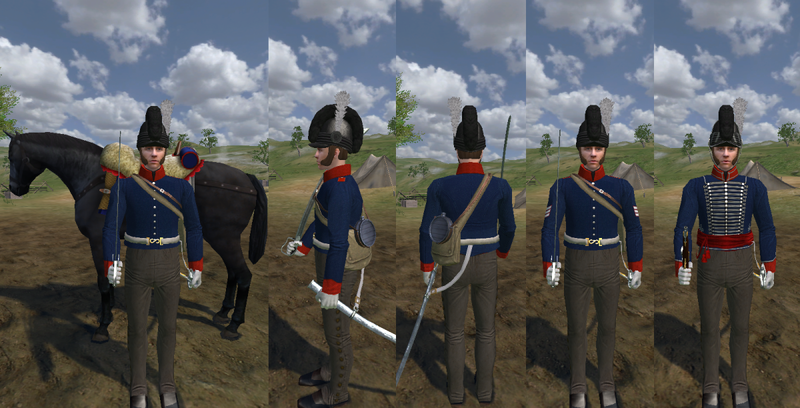 If you press "B" while using one of these units, he will go through the animation process of fixing a bayonet but nothing will be put at the end of his musket. 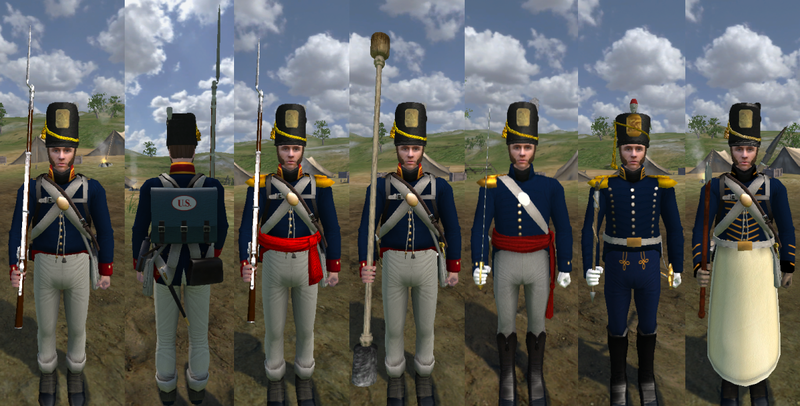 How do the tomahawk and spear weapons work in the War of 1812 mod? 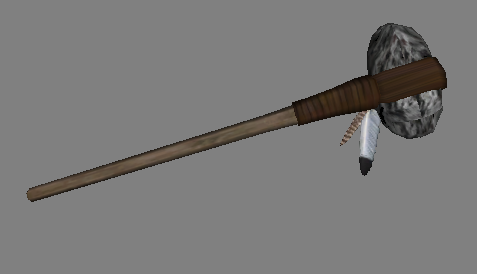 The tomahawk and spear are both ranged and melee weapons in the mod. 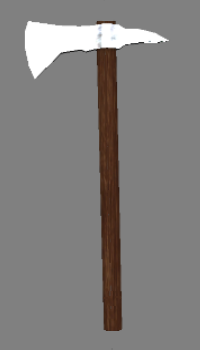 When your unit is in fire mode the tomahawk and spear can be thrown. You get a supply of 2 of each weapon. When your unit is in melee mode then the tomahawk is swung by your unit like an ax and the spear functions similar to a bayoneted musket. How is the superior accuracy of the American long-rifle balanced in the game? There is a significantly longer reload time for the long-rifle compared with other rifles. 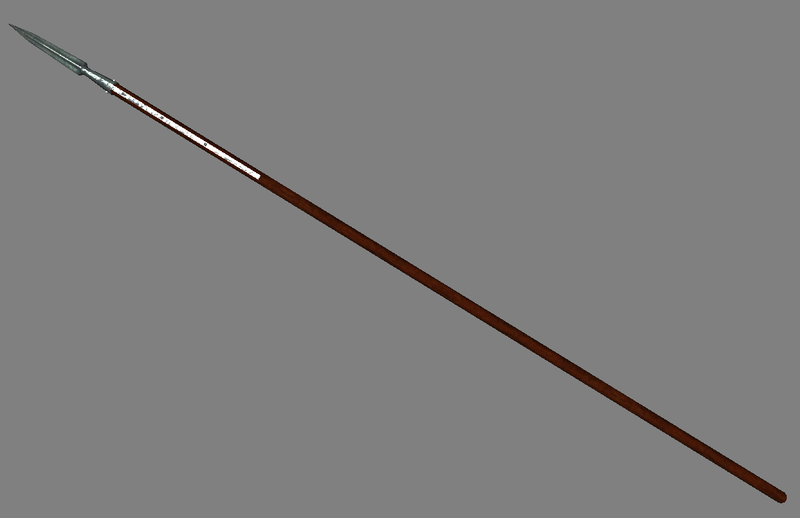 Also, the long-rifle has a longer delay in ignition when the trigger is pulled which simulates the more careful aiming required to use this weapon. 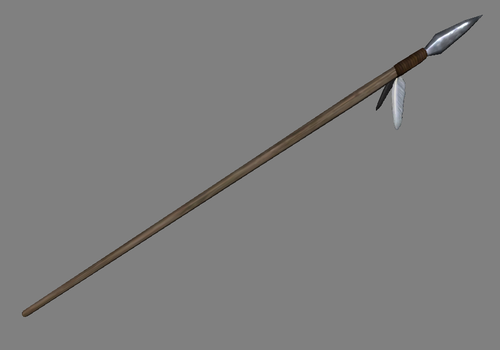 How is the superior rate of fire of the Native bow balanced in the game? 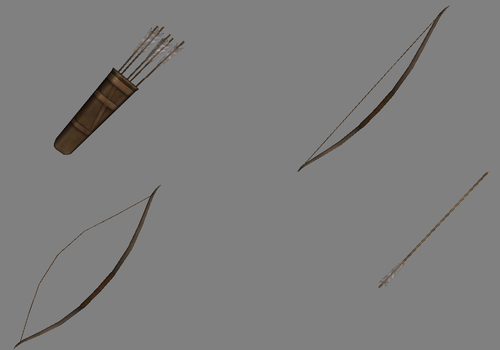 Arrows fired from the Native bow do much less pierce damage then bullets and the Bowman is only given a supply of 15 arrows. However, they can be retrieved and reused after having been loosed. 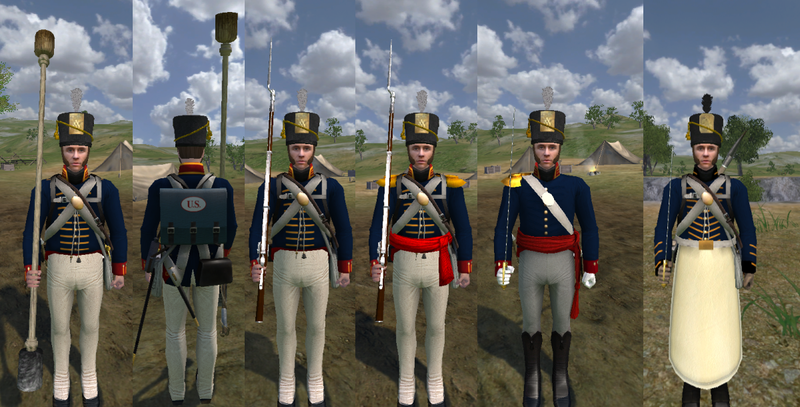 Why are the US cannon in War of 1812 black with light blue carriages? US cannon were made of iron instead of brass because iron was cheaper and more easy to find in North America, even though it was heavier than brass. They were painted black to prevent corrosion. 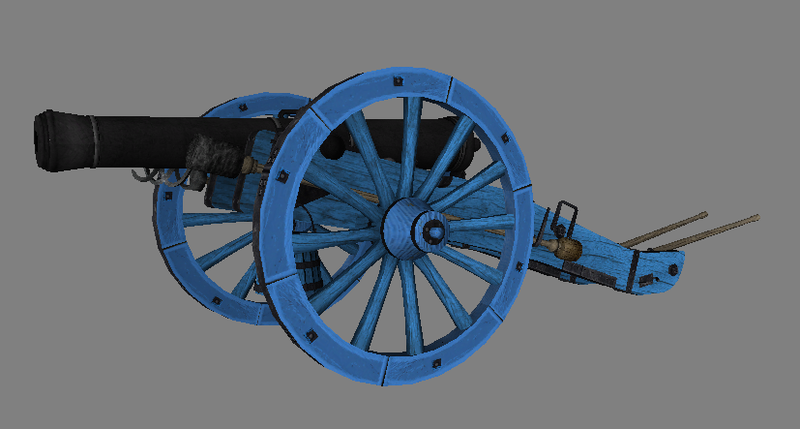 The standard color that the US Artillery used to paint their carriages was light blue in 1812. 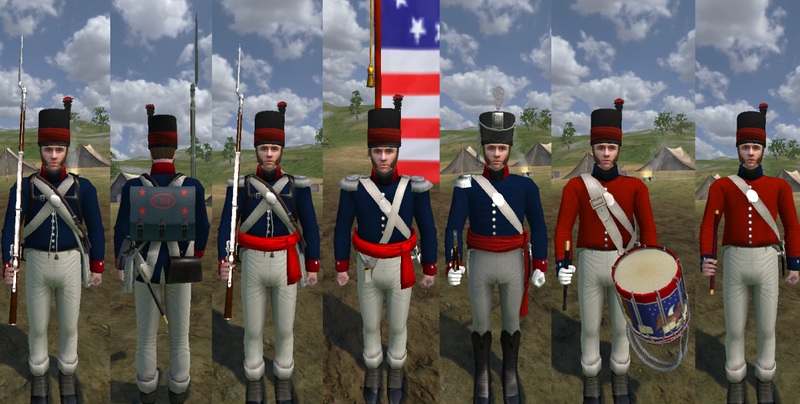 Why do all the 21st US Infantry, Grenadier Company units have corporal stripes on their arms? The stripes on their arms do not specify rank. 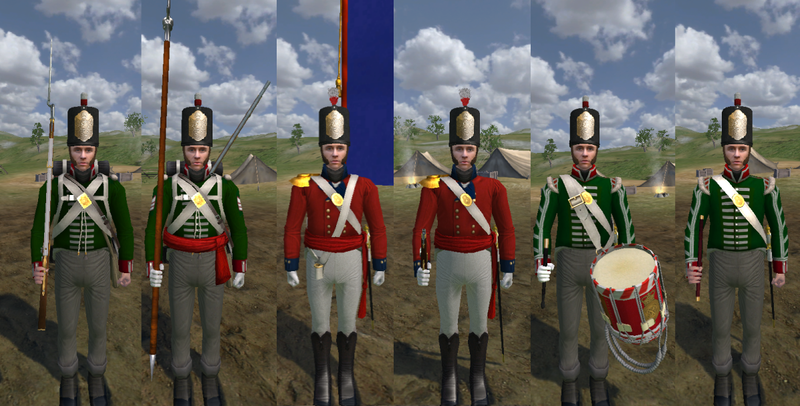 They indicate their status as members of the regiment's elite grenadier companies, of which the 21st had two. 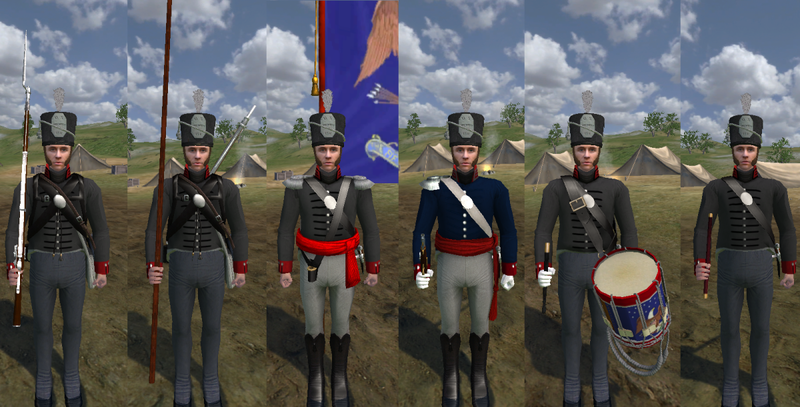 In 1812 NCO rank in the US Army was distinguished by the wearing of shoulder epaulets, two for sergeants, and one for a corporal. 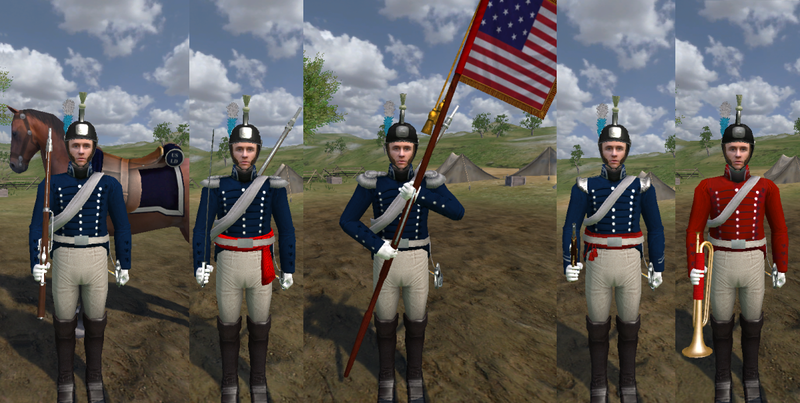 Why are some US Infantry units wearing uniforms of black, brown, or gray instead of the regulation blue? There was a shortage of indigo dye in America due to the British naval blockade and the quartermaster's department had to use whatever color of cloth was available, which was often black, brown, or gray, to make uniforms. 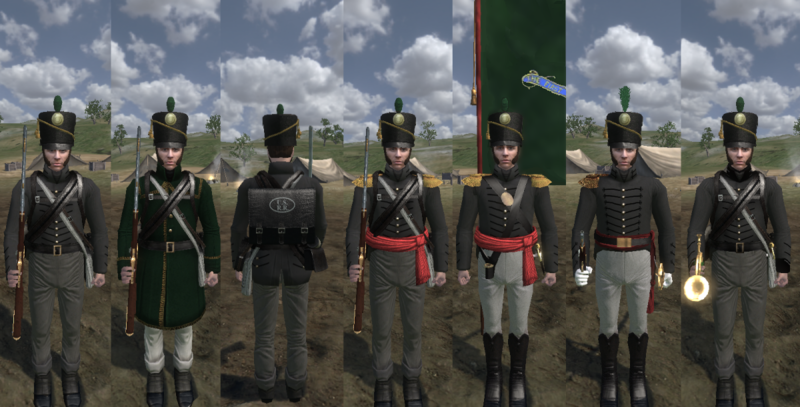 Why are the early war Canadian Incorporated Militia Battalion dressed in green instead of red? 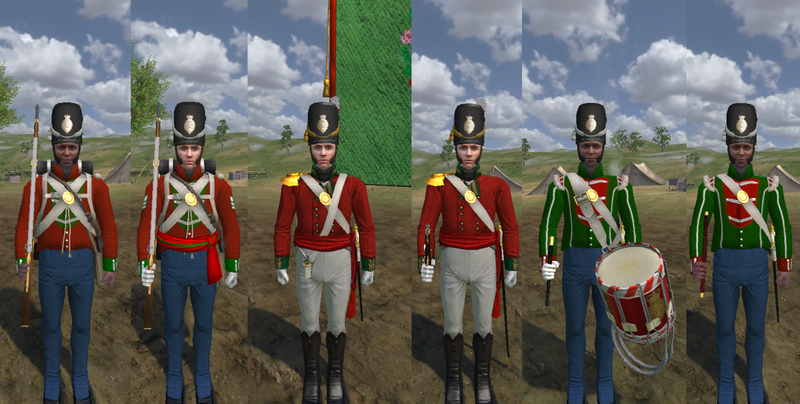 There was a temporary shortage of red dye and green cloth was was used as a substitute for a brief time early in the war. 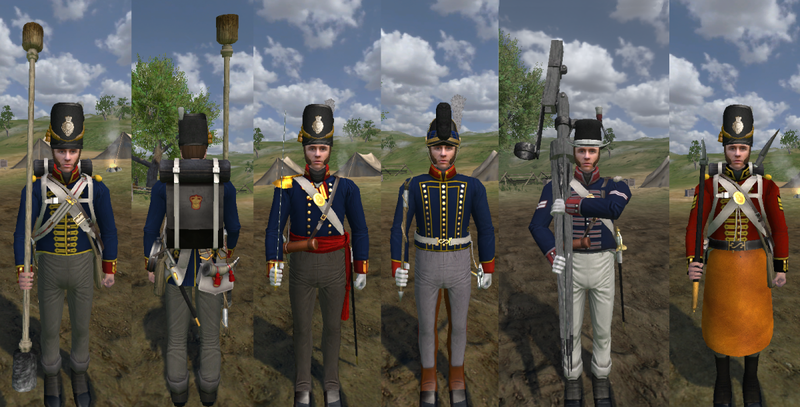 Why do the 15th US Infantry have Pikemen armed with short muskets and swords? The 15th US Infantry was trained to use unique tactics by it's first colonel Zebulon Pike. 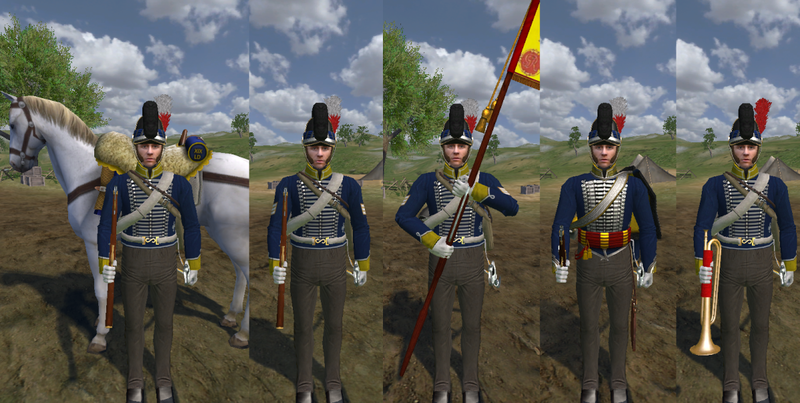 This regiment fought in a three deep line formation instead of the regular two. 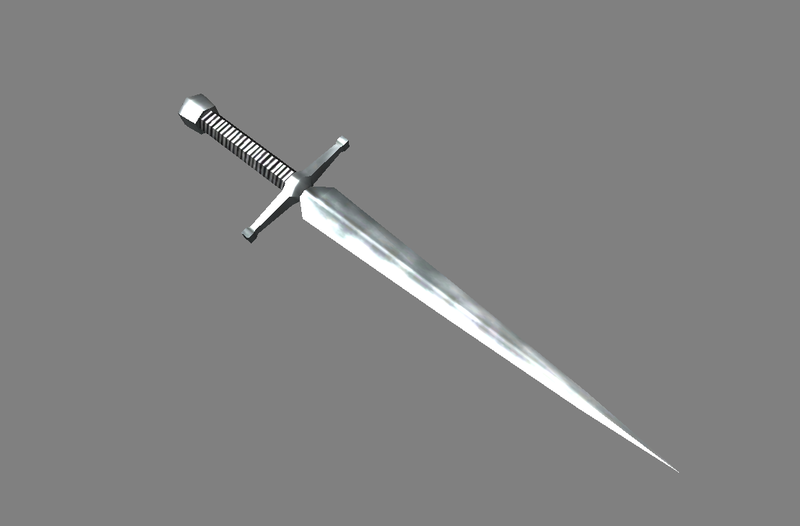 In order for all men of the regiment to employ cold steel in an assault, the third rank was issued with the longer pike along with handier short muskets that they could use to add to the regiment's firepower. 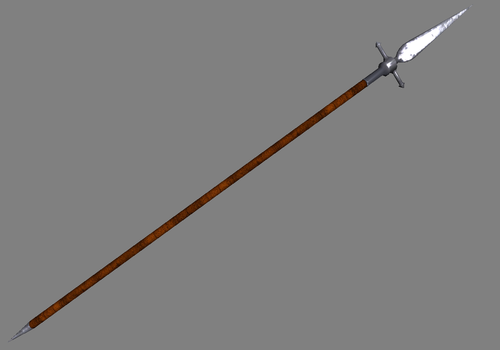 Swords were used by the Pikemen as a back-up weapons for the pike during melees. 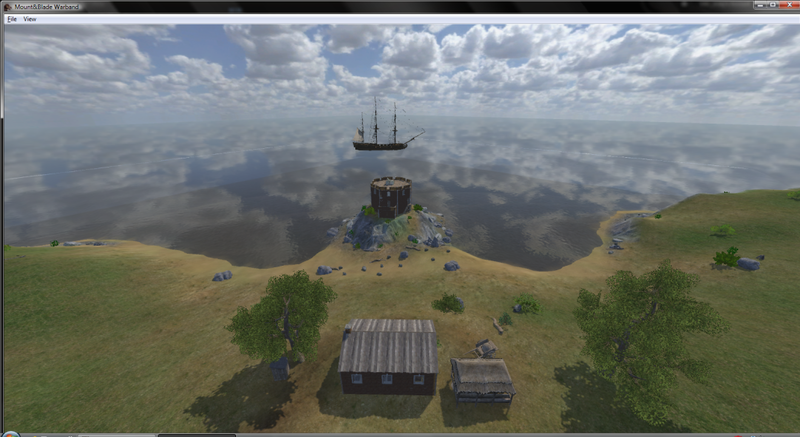 The short muskets fire buck shot instead of ball to increase their hit probability at close range. 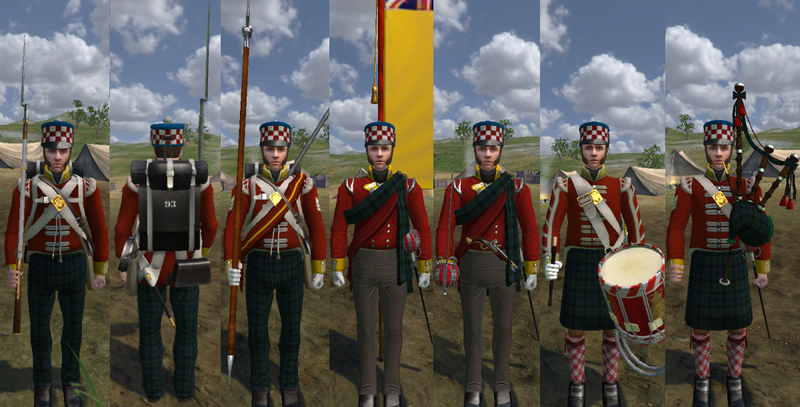 Why are the 1st Foot (Royal Scots) equipped like a highland regiment instead of a normal line regiment? 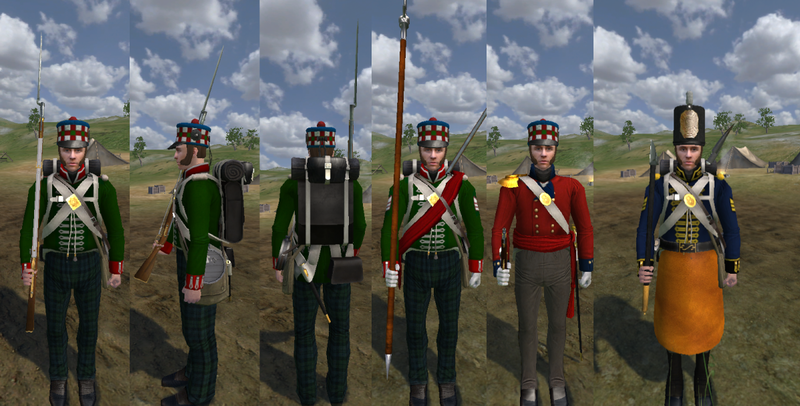 Because of the limitations of the module system we had to retain the highland equipment (claymores, pipes, and highland garb for musicians) for the Royal Scots. It was either this or we would have had to remove them from the regiment that replaces them in the late war configuration, the 93rd Sutherland Highlanders, which would have been a more glaring inaccuracy. 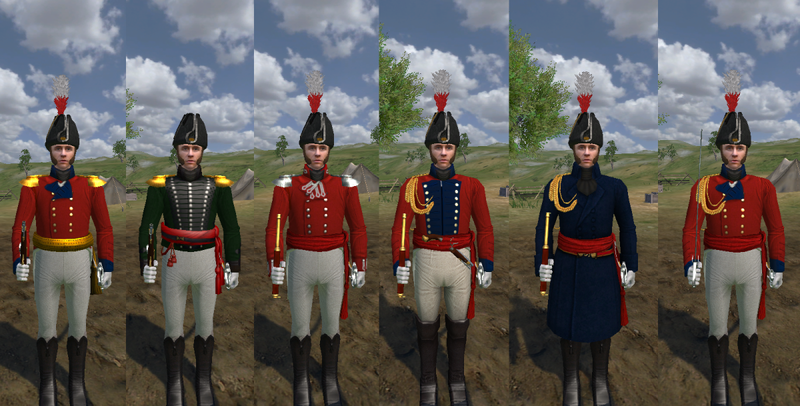 Why is face customization enabled for the rankers of the 5th West India Regiment when they were historically an all black regiment, with only white officers and NCO's? The West India Regiments were raised mostly from former slaves in the Caribbean in order to prevent having to send white regiments to a region that had proven very harmful to their health, Europeans having a very low resistance to tropical diseases like malaria. They fought in many of the War of 1812's later actions along the east coast of the United States and in the New Orleans campaign. 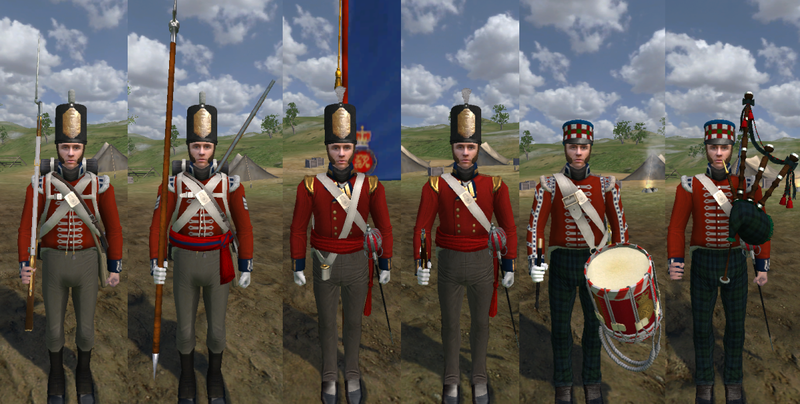 Face customization had to be enabled on this late war regiment because they are replaced in the early war troops list by the Incorporated Militia Battalion of Upper Canada. 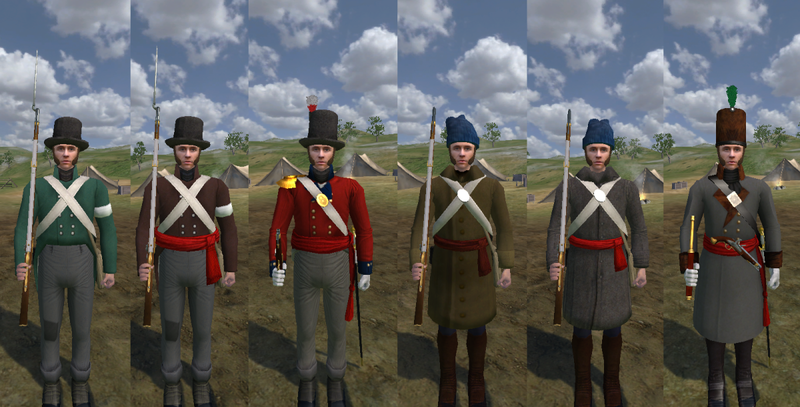 What is the distinction between Canadian units described as Fencibles, Incorporated Militia, and Sedentary Militia? Fencibles were troops who served for a regular term of 6 years but with limits on the scope of their service. 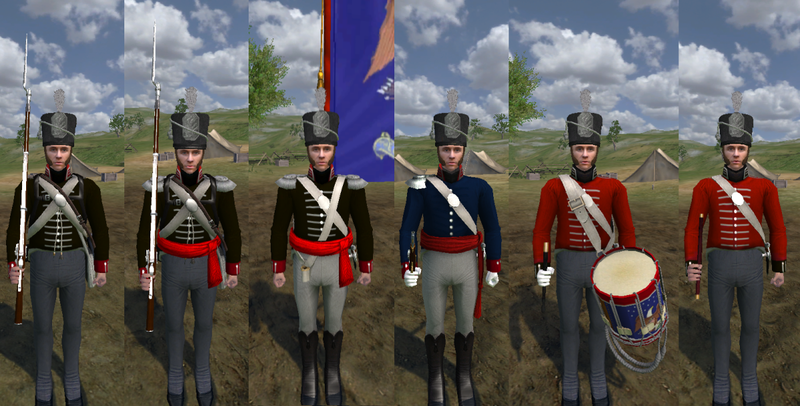 For example, the Canadian Fencibles were only liable for service in defense of British territory in North America. 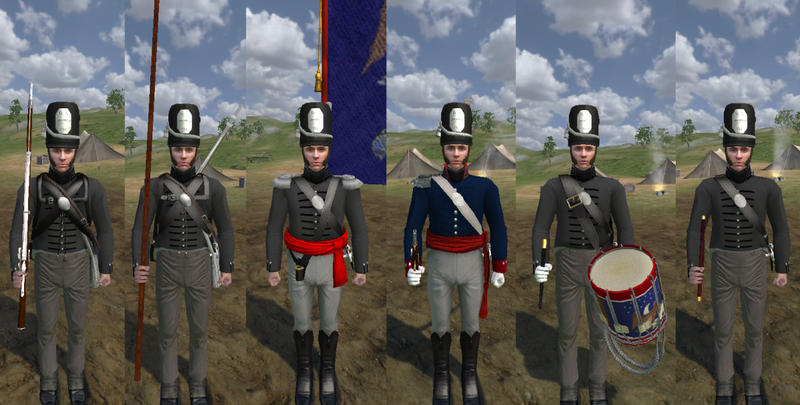 Incorporated Militia units were made up of volunteers recruited from the Sedentary Militia. They agreed to serve actively for the duration of a year and could be sent to take part in combat actions anywhere in the Canadian theater. 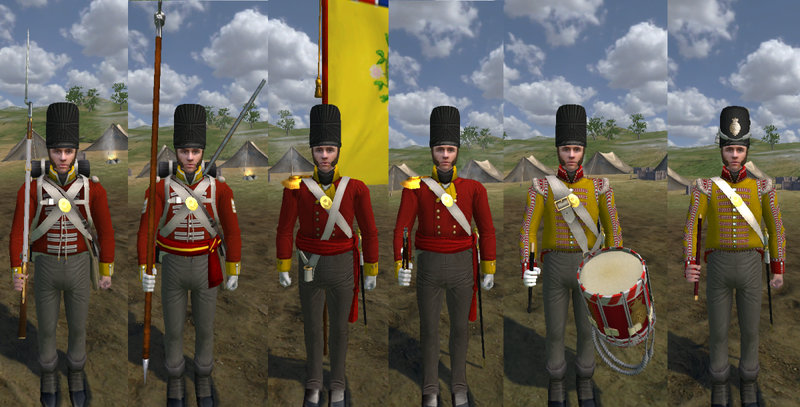 They were usually garrisoned in forts and uniformed and equipped like regular regiments if supplies permitted. Sedentary Militia were only obligated for service near their homes and were ordered to assemble on the approach of an invading enemy force. They often did not have uniforms and used field signs like a strip of white cloth tied around an arm for identification. Arms were either provided from local arsenals or they used their own personal weapons if they had them. What are the time periods roughly covered by the early and late war module configurations? Early war runs for about the first year of the war and late war the remaining year and a half. See this website link below for a list of British units that served in the North American theater during the war. 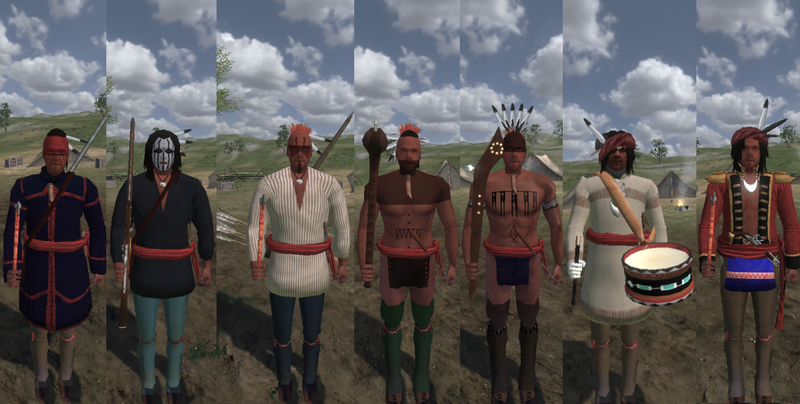 See this link below for a list of tribes that were allied to the British during the war. 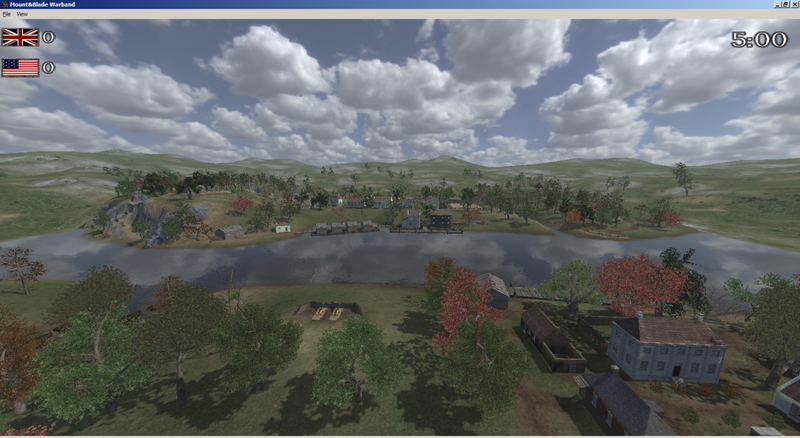 28 War of 1812 themed maps have been completed for the mod. Some of them may already be familiar to you as they were completed quite some time ago. Both teams start at the opposite sides of a wide swamp. 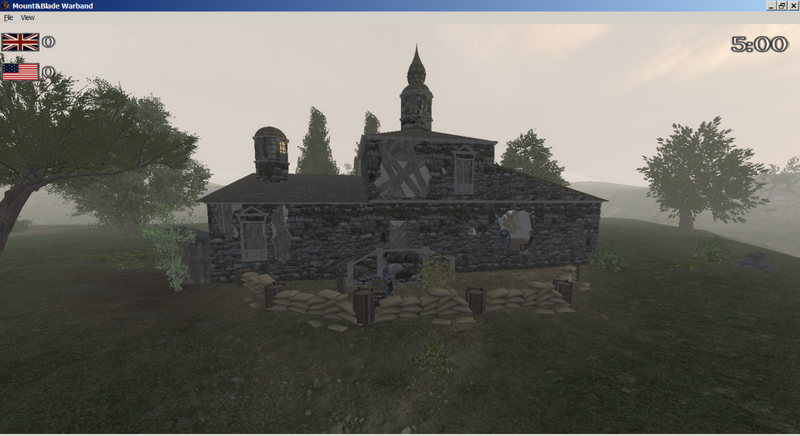 One team spawns behind an abandoned mansion and the other spawns next to the camp on the other side. 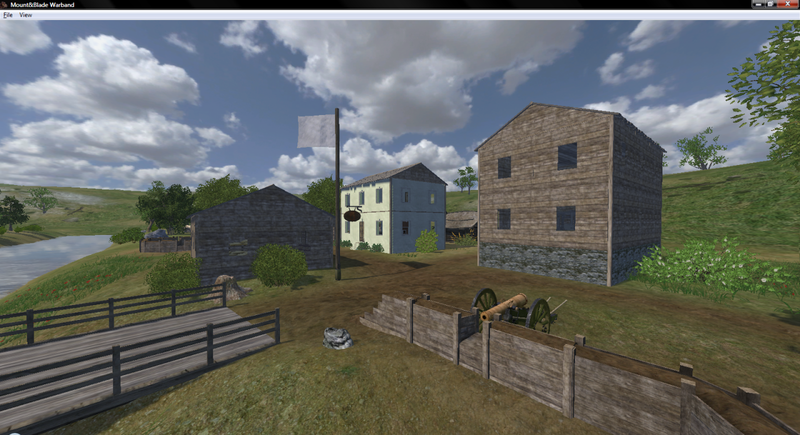 The flag of team 1 is located in front of the mansion and team 2 has theirs in the artillery redoubt. Be careful when traversing the swamp as it is an uneven depth. Perhaps the use of sappers can help ease the way through if the pontoon bridge is unavailable. 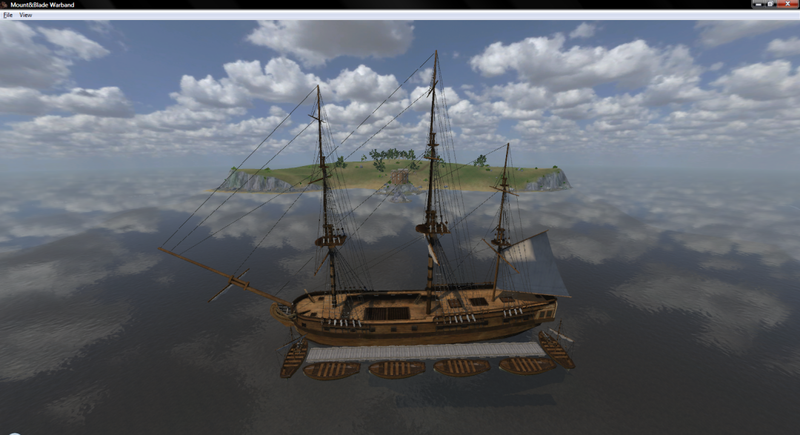 A frigate that has lost most of its sails refuses to strike it's colours. The other frigate will now attempt to take it's potential prize by moving along side the immobile ship and forcing it's surrender via a violent, close quarters, hand to hand boarding action. That is, if the other crew do not take their ship first. Kill more of the enemy crew than you lose to win in team deathmatch mode, capture the enemies flag to win in conquest mode, or exterminate the enemy crew to win in battle mode. 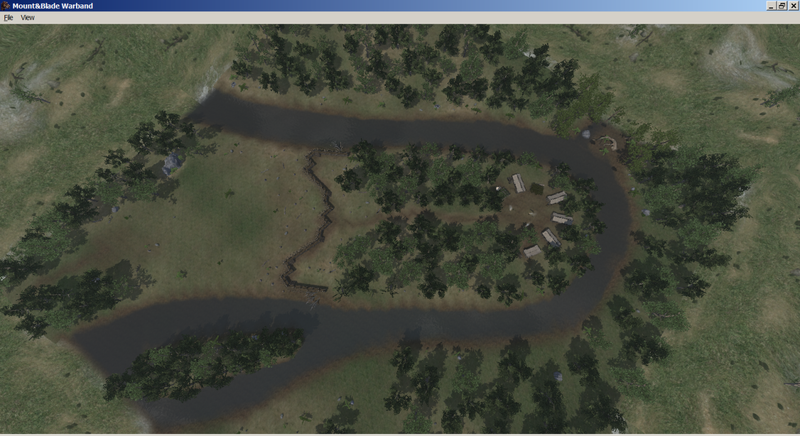 The Redstick faction of the Creek Tribe have their main camp situated inside a sharp bend of the Tallapoosa River in the Mississippi territory (present day Alabama). The lone approach by land is protected by a log and earth breastworks fronted by sharpened stakes. 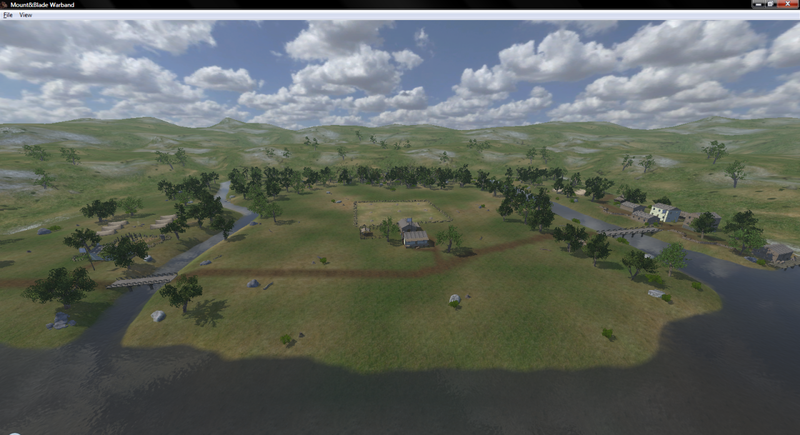 After an ineffective artillery bombardment by 2 six pounder field pieces, commanding General Andrew Jackson orders an assault. 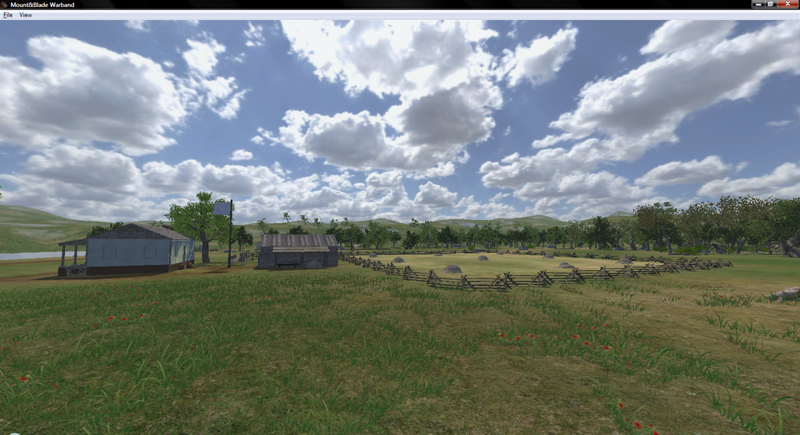 The objective of the attackers is to capture the Redsticks flag in the center of their camp, which is located down a short trail behind the breastworks. 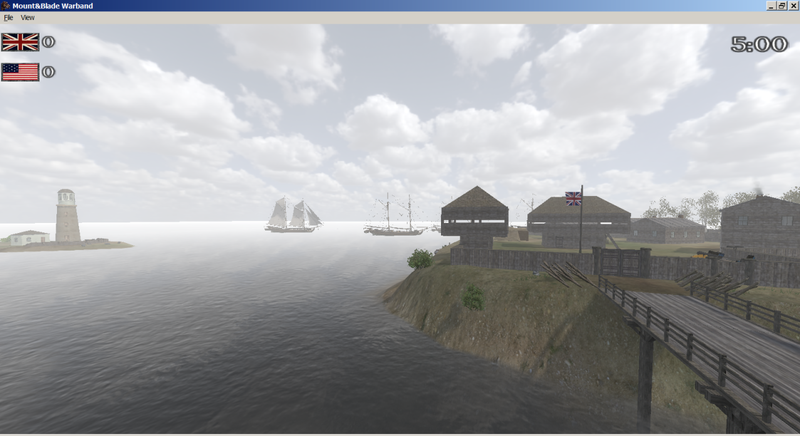 An American raiding flotilla lands just outside the harbor of York, the capital of upper Canada. 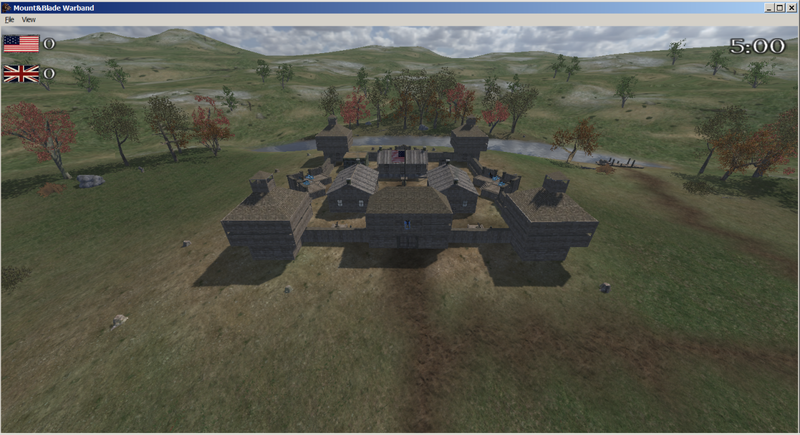 The British and Canadian militia are badly outnumbered but attempt to hold the fort just outside of town. 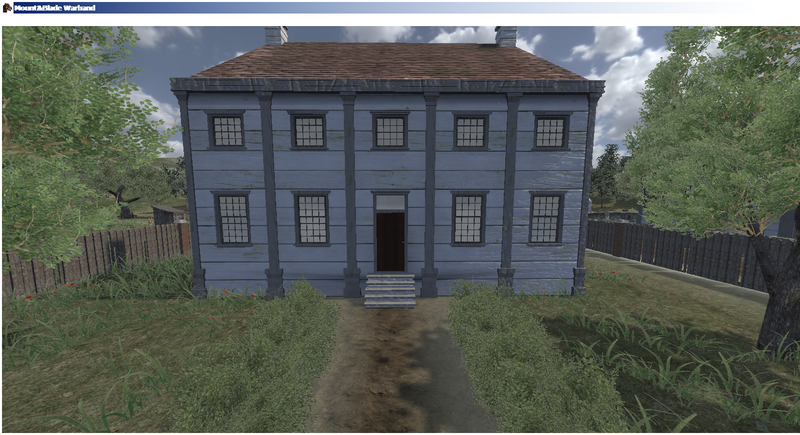 They put up stubborn resistance in the block houses but American numbers are to much for them and they decide to ask for terms of surrender. 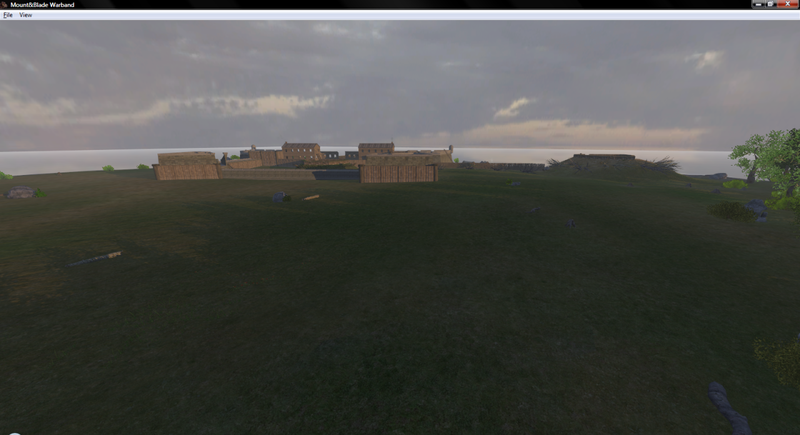 They agree to abandon Fort York but as the Americans are preparing to enter the fort, the powder magazine explodes. Many Americans are killed by falling debris including their commander, Zebulon Pike. The enraged Americans interpret the surrender as a ruse to lure them into a trap. 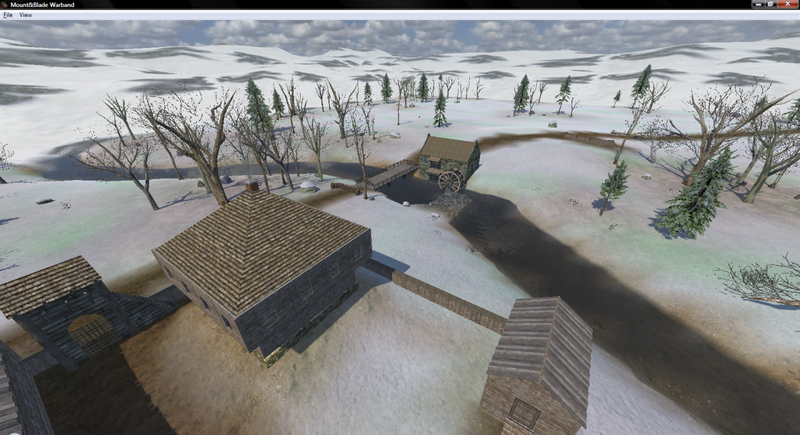 They vent their fury on the town of York, burning the legislature and looting the town thoroughly before departing back to their side of the lake. P.S. 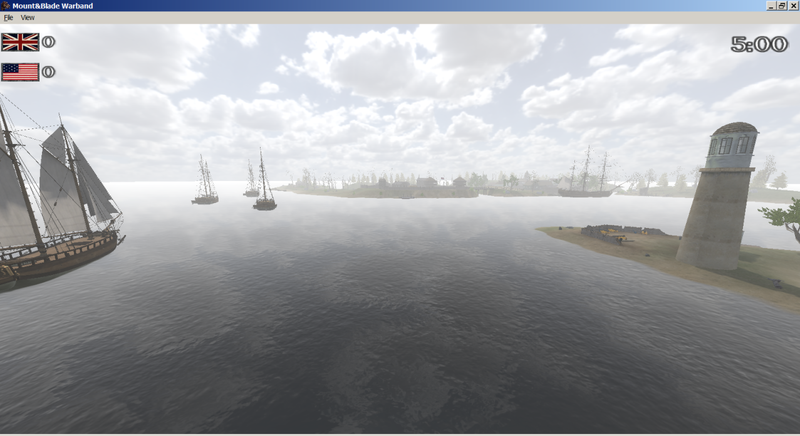 The supporting artillery for attackers is aboard the ships. 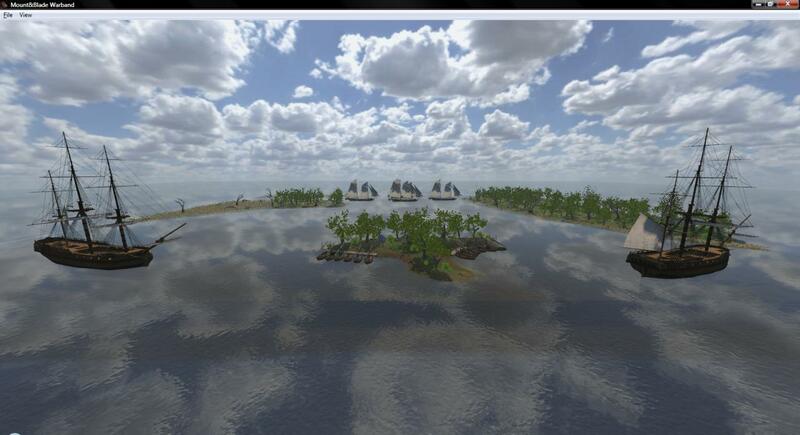 They can be reached via the two longboats that are controllable at the landing site. A British task force has been blockading the US coast for most of the war. Now that the war against Napoleon has been won, they finally have the resources available to punish the upstart Americans with a proper amphibious invasion of US soil. They target the Chesapeake area. 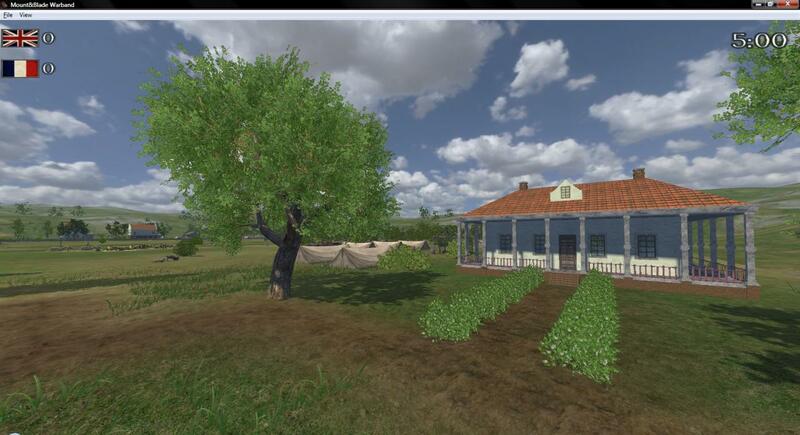 After some preliminary raids they land a force of 4,500 regulars and make for the capital of Washington. The only intact bridge across the Potomac River giving access to the city is at Bladensburg. 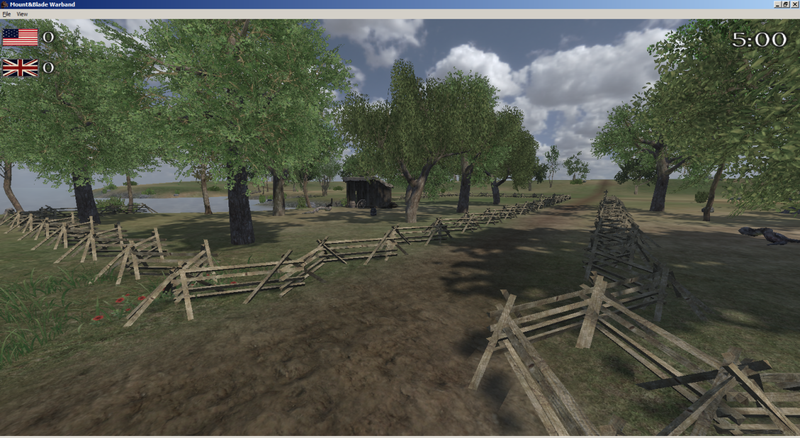 The Americans hastily prepare a defense to oppose the crossing. But, they position themselves badly in three defensive lines that are so far apart they can not support each other, neutralizing their numerical advantage. 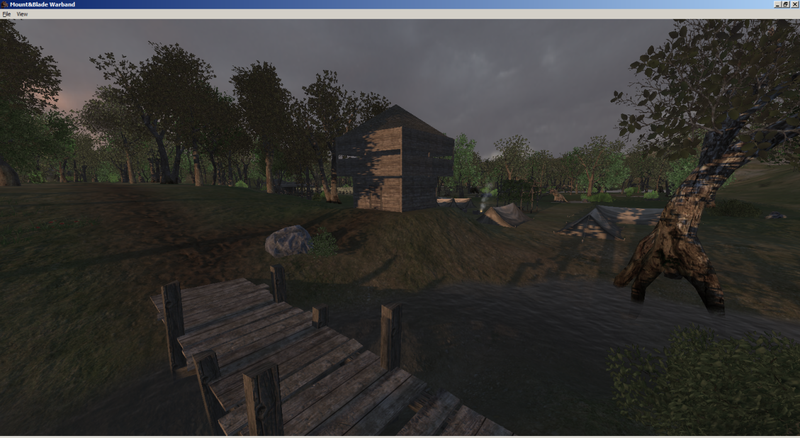 The British poor across the bridge and ford the shallow portion of the river north of the bridge as the Americans have neglected to post troops in the buildings of Bladensburg. The mostly militia US force breaks and runs in what come to be known as the Bladensburg races. 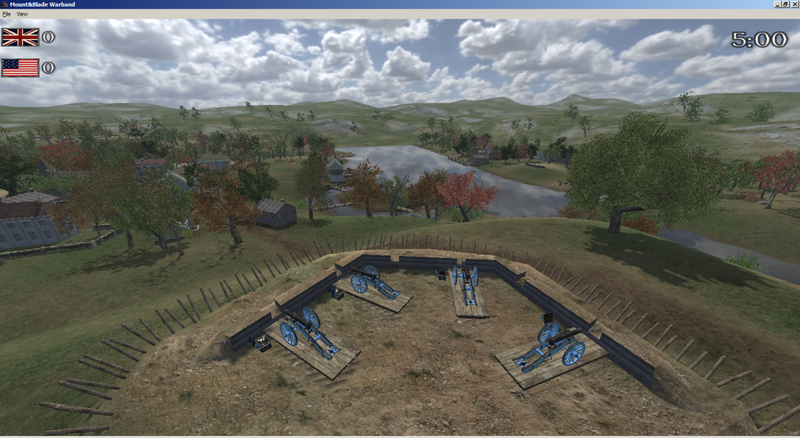 Only the naval artillery and marines in the third line of defense stand their ground. But they are unsupported and overwhelmed. Many are bayoneted while still trying to serve their guns. 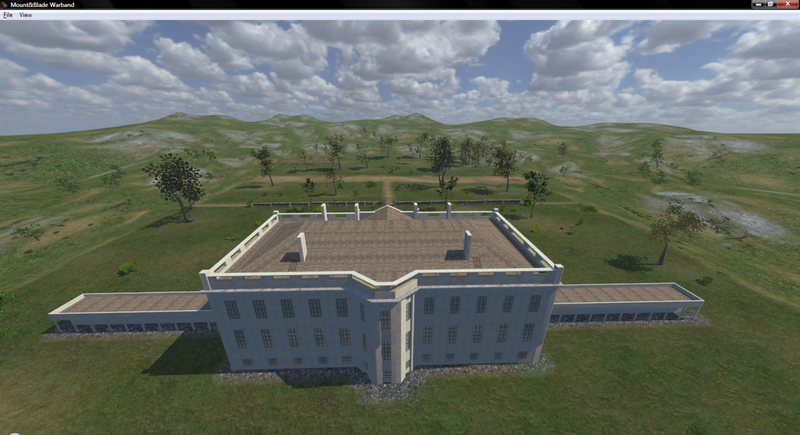 The victorious British march into Washington and burn the public buildings including the White House. They say in retaliation for the burning of York in Canada. P.S. 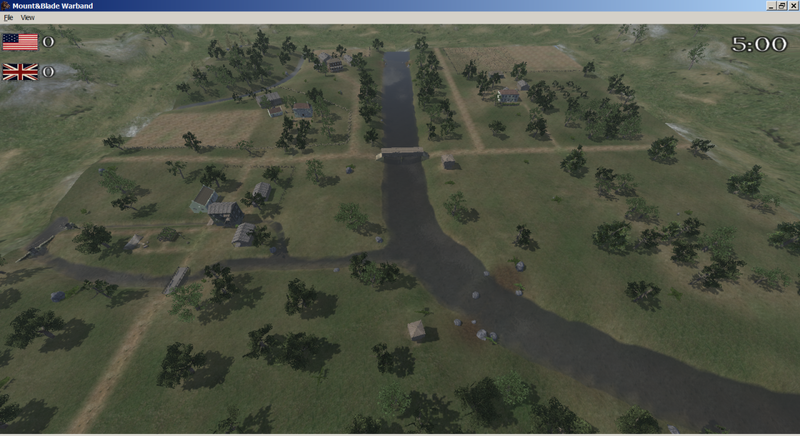 This map can also be used for dueling as the famous Bladensburg Dueling Grounds are near the stone and wood culvert bridge on the road to Washington. One prong of a US two-pronged invasion force marches north toward Montreal. The Canadian commander, Colonel De Salabury of the Canadien Voltigeurs, prepares to meet their advance along the bank of the Chateauguay River. 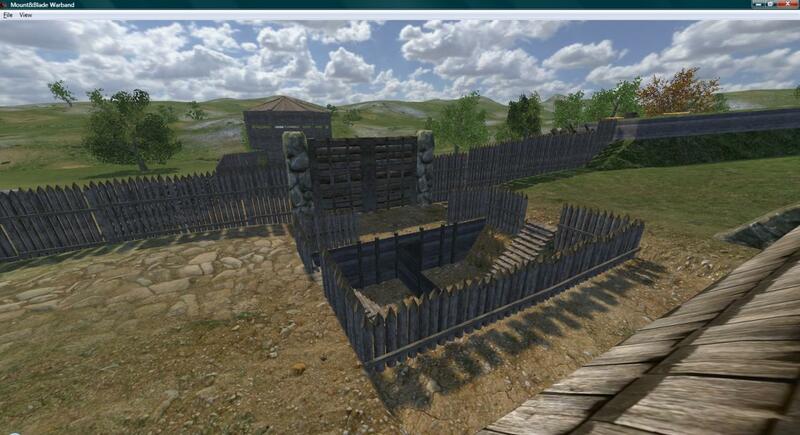 He constructs an abatis of logs and brush to buttress his badly outnumbered defenders. 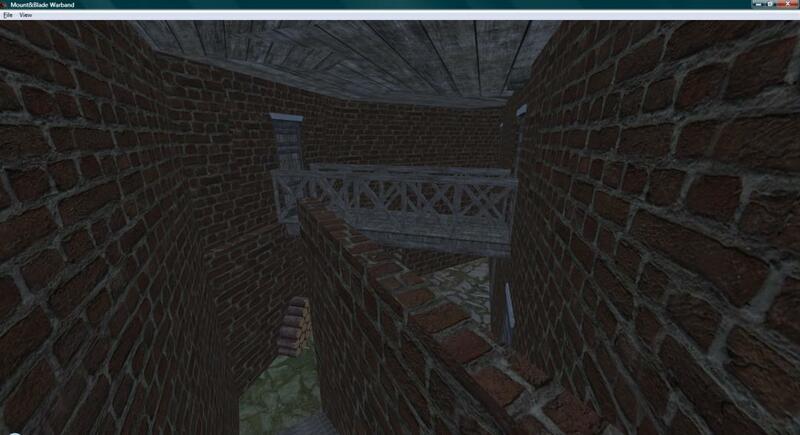 A block house will protect his flank from any fire coming from the other side of the river. 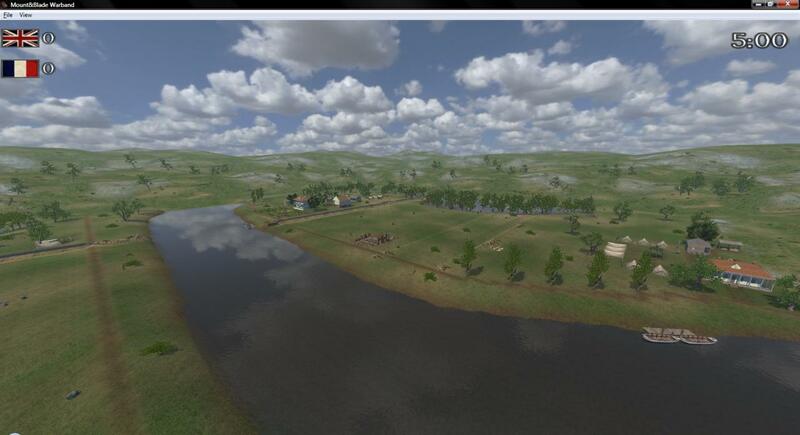 Instead of attacking the prepared defenses directly, the Americans, divide their force and send a column across the river and in an attempt to access another ford upstream behind the Canadian defenses. This force becomes so confused in the boggy uneven ground, they end up firing on themselves as well as the light troops and native warriors stationed there by De Salabury to resist them. They never get to the ford and the US commander, Wade Hampton, decides to abandon the entire campaign and orders a retreat back to the US. 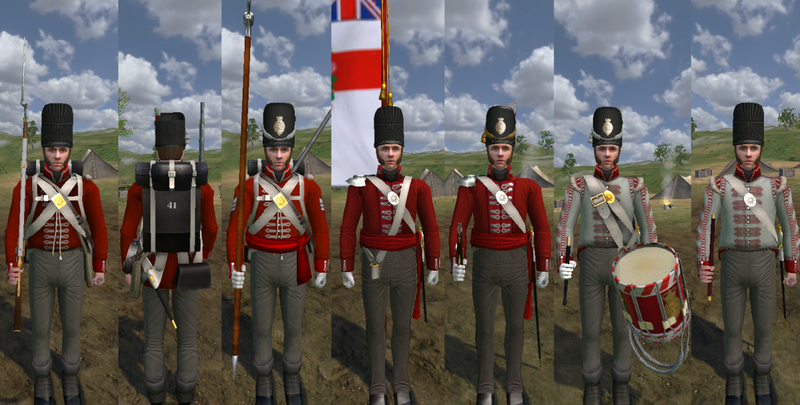 A small US raiding force sent out to capture an enemy advanced post on the Ontario peninsula in the winter of 1813 is intercepted by a larger British force consisting of the Royal Scots Light Company. 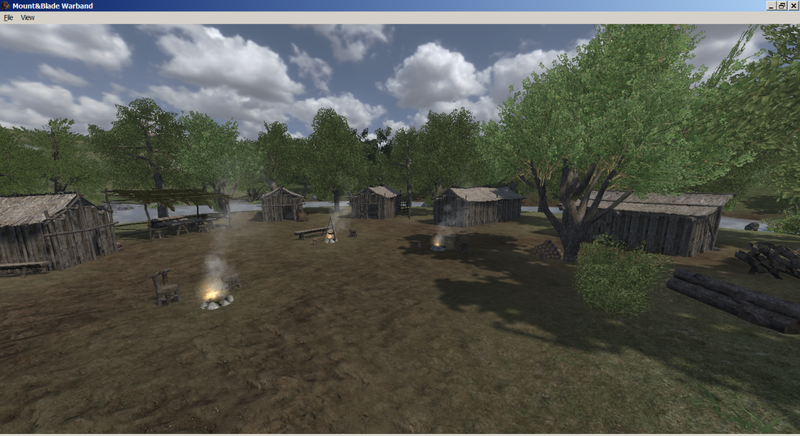 The Americans are encamped on a large hill in front of Twenty Mile Creek in a heavily wooded area called Longwoods. 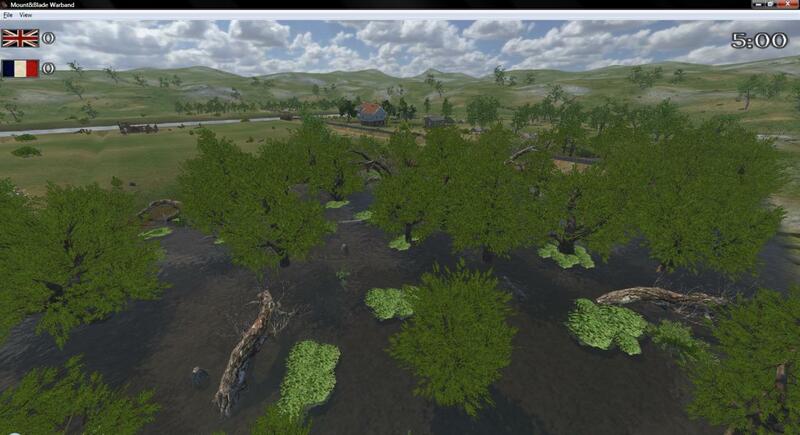 The Americans further strengthen their position be felling trees on the hill to obstruct any attack. Most of the US force is composed of riflemen. 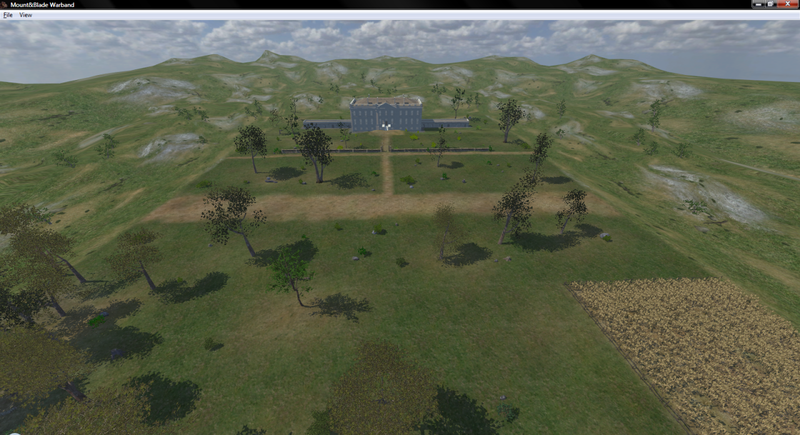 The British order a rash frontal attack and are decimated by the accurate American rifle fire while trying to climb the hill. 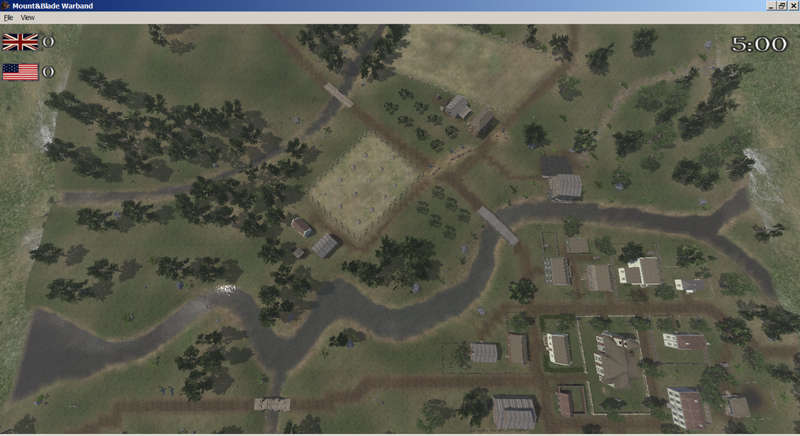 Further attacks are called off and the Americans are allowed to slip away back to their own lines. After the capture of Fort George, the US Army makes it's deepest advance into Canada and sets up camp at Stoney Creek not far from the British fortifications on Burlington Heights. 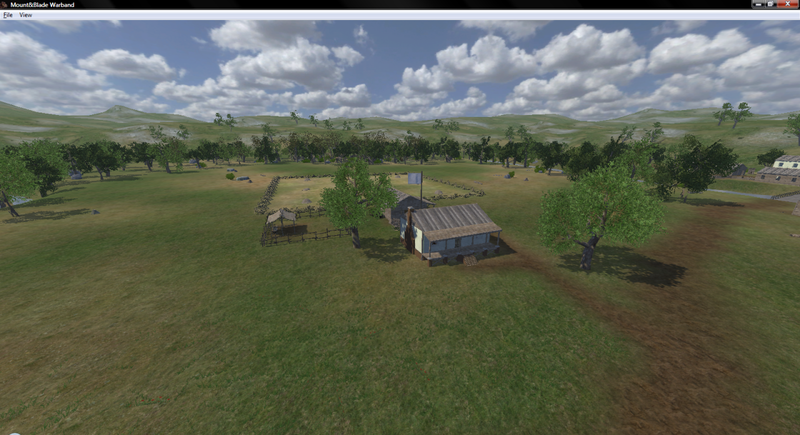 The US force totals some 3,400 regulars but their two camps are widely separated at two farms along the creek. The British commander only has elements of the 8th and 49th Foot available to oppose them along with some native allies. He decides on making an audacious night attack with his force of 700 men. 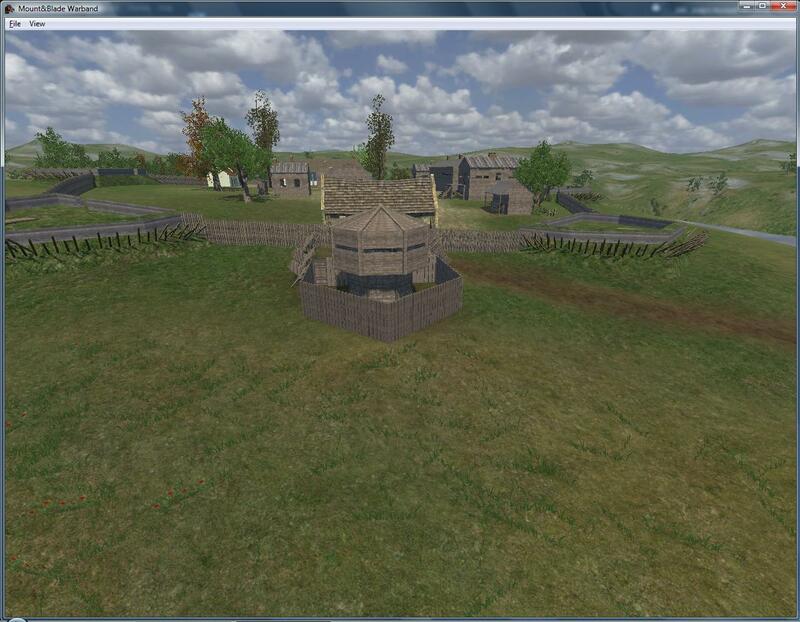 Luck is with the British as the US sentries are lax in their duties. 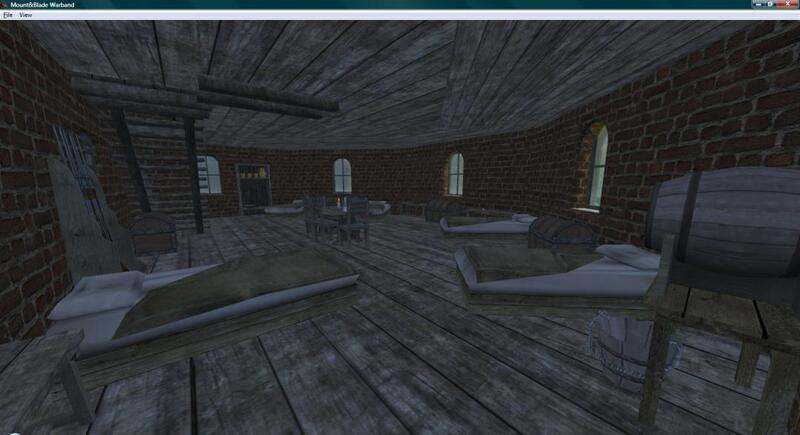 Some US Riflemen in a forward position inside a chapel are bayoneted while they sleep. 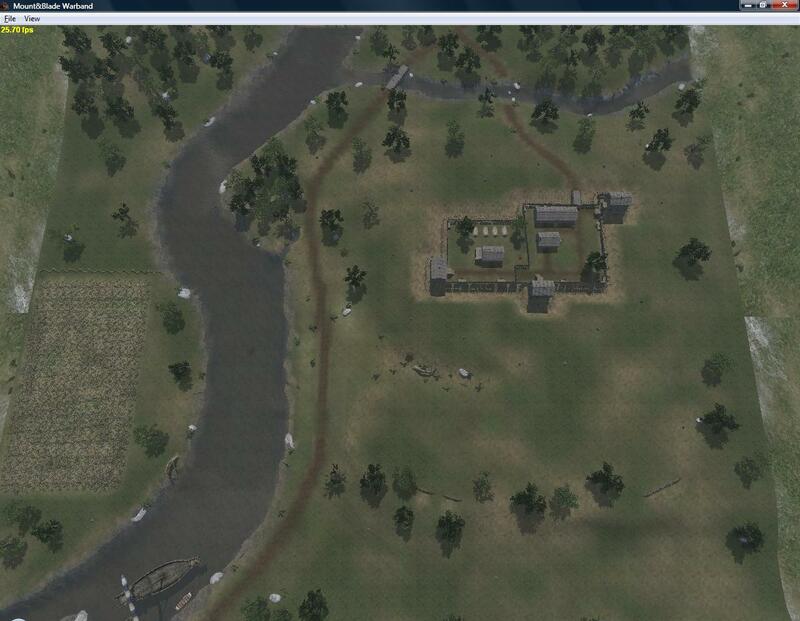 The British force continues to advance directly up the road and crosses the bridge between the two US camps. Two US cannon are sized at the bridge when their fuses are to damp to ignite. Both of the US senior commanders are also captured nearby in the confusion. 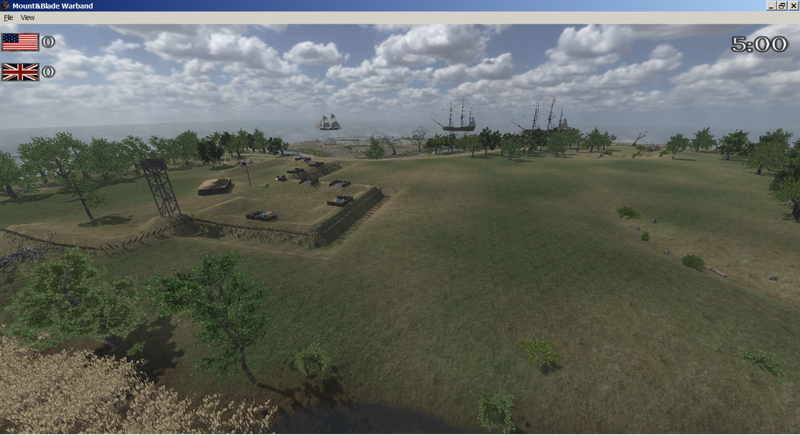 The stunned Americans finally organize a response and return fire on the British. 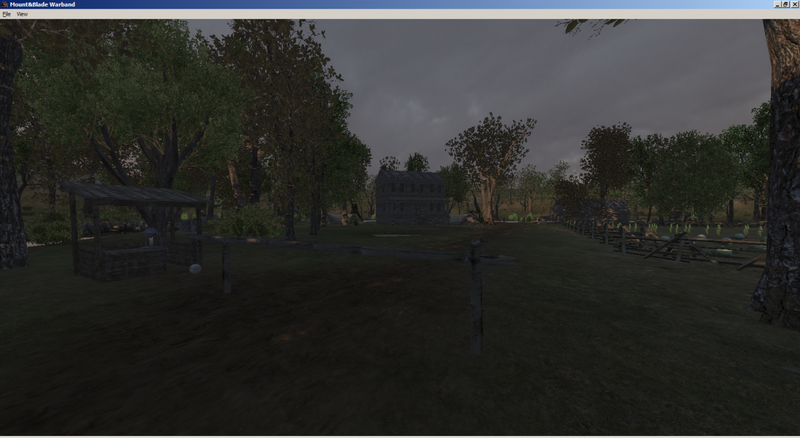 The buck-n-ball rounds fired from their muskets inflict more casualties on the British then they are able to inflict in the ensuing fire fight. The British commander orders a withdrawal. 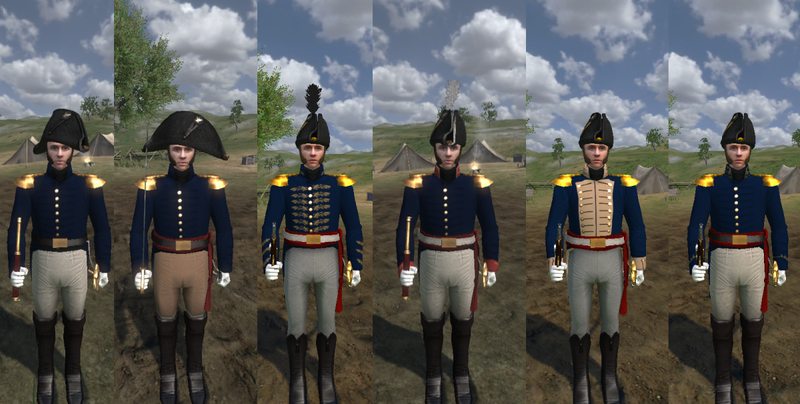 The most senior US officer remaining now is Colonel Burn of the US Dragoons. He has never commanded so large a force and has become somewhat unnerved by the aggressiveness of the British. 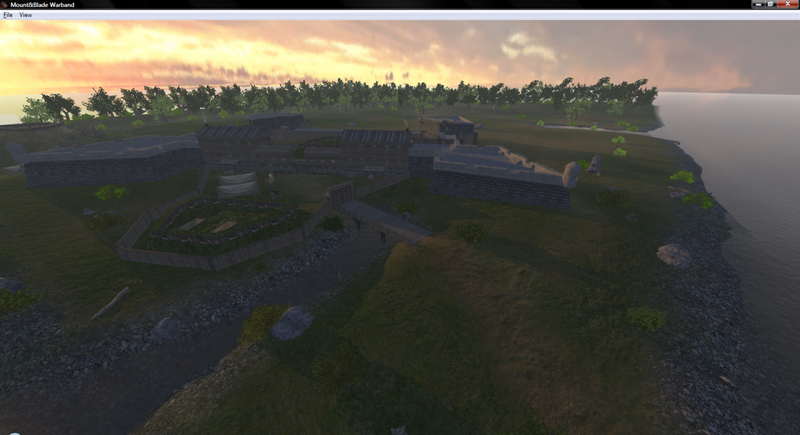 He therefore orders a retreat back to Fort George in spite of his massive numerical advantage. 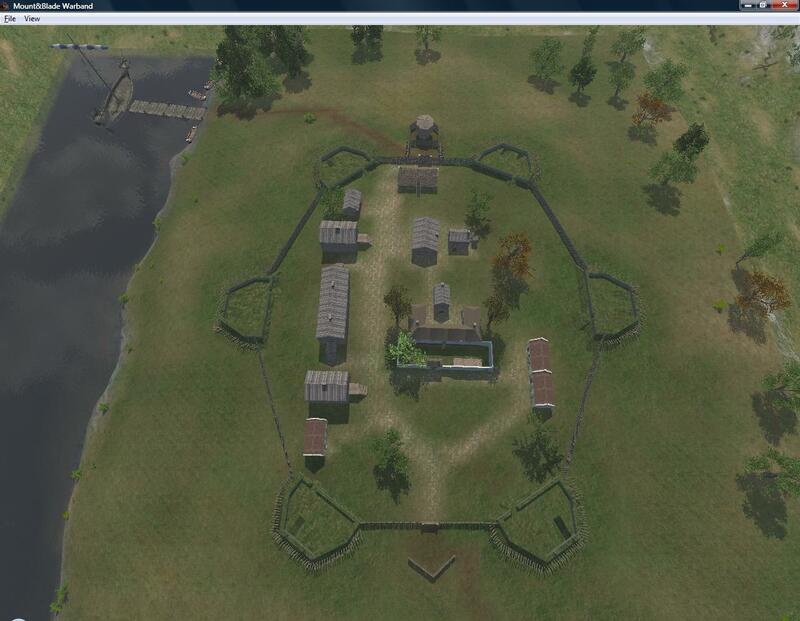 This is a map of what the typical frontier fort looked like during the War of 1812. Usually, located by a river or a lake because of the lack of suitable roads. 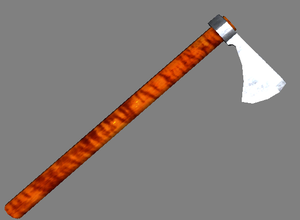 It was made of the most readily available local material, namely wood. 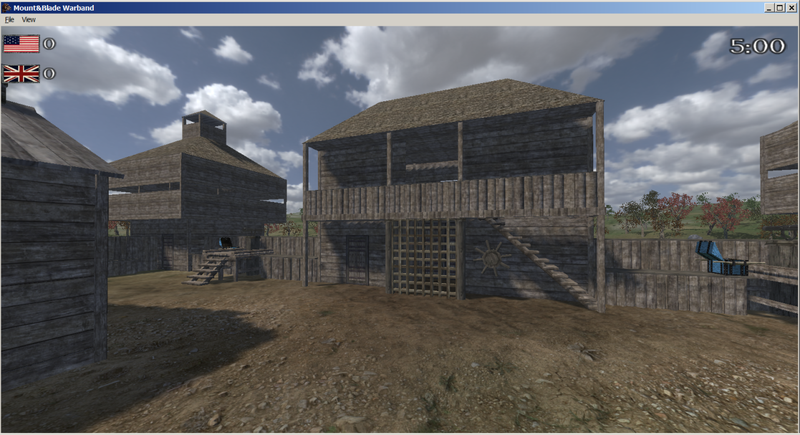 Blockhouses protected the corners, barracks were in the center, and a gatehouse for the entrance. The powder magazine is the only stone building. 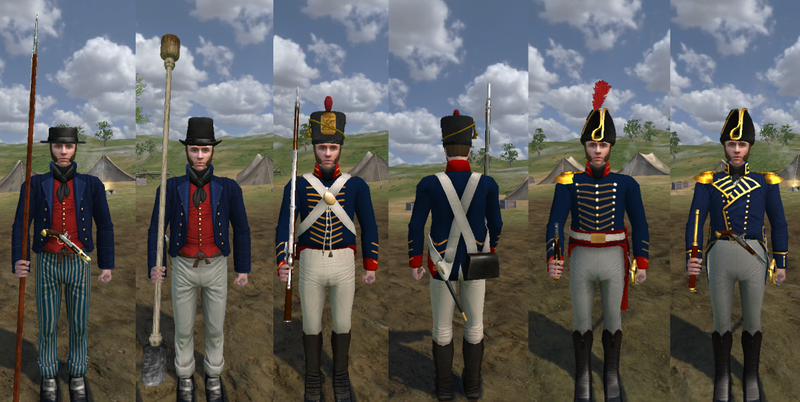 Queenston Heights is the first large battle of the War of 1812. A large American force, located at the town of Lewiston, New York on the south bank of the Niagara River, attempts to cross the river and establish a foothold on the strategic Niagara escarpment on the Canadian side. The US regulars cross first as there are not enough boats to transfer the entire force at once. 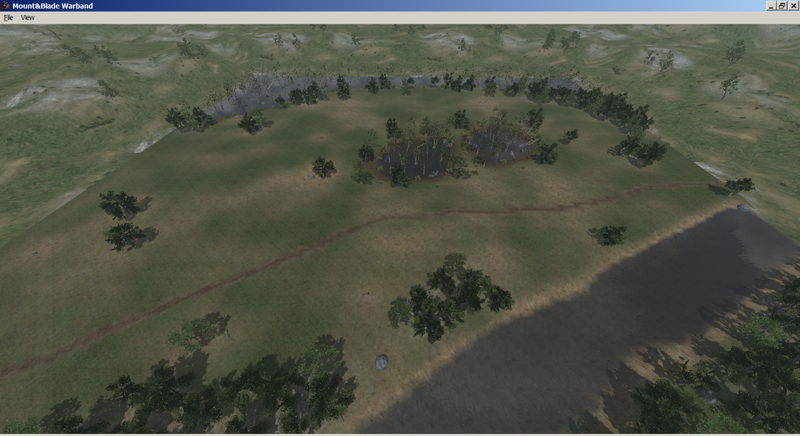 Captian Wool, of the thirteenth US infantry, lands further down river than planned and discovers an unguarded fishermans path that allows his small force to approach the British redoubt on the heights above Queenston from behind and surprise it's defenders. 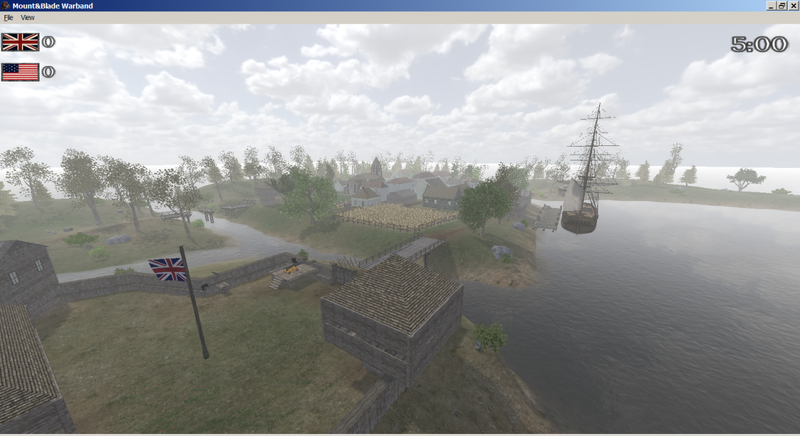 News reaches General Brock, the commander of British forces in Upper Canada, and troops from Fort George further down river are dispatched to eliminate the American foothold before it becomes too strong. As the British and their native allies press the American position on the heights, future General Winfield Scott calls for urgent reinforcements from the south bank of the river. 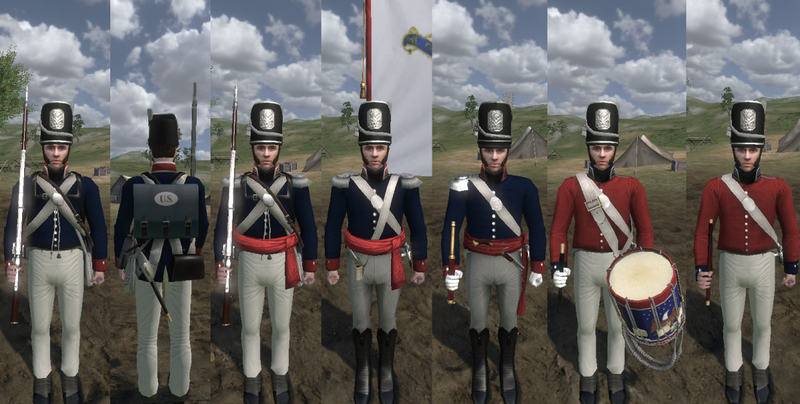 However, the remaining troops here are all New York militia. They can hear the terrifying war crys and musketry from the far bank and refuse to cross into Canada on the grounds that they are only obligated to serve in defense of New York State. The US regulars inflict heavy casualties on the attacking British force but are eventually overwhelmed by superior numbers. General Brock himself is killed climbing the steep slope of Queenston Heights. Winfield Scott and the survivors among the US regulars are taken prisoner. Scott is later returned to the US Army on a prisoner exchange. 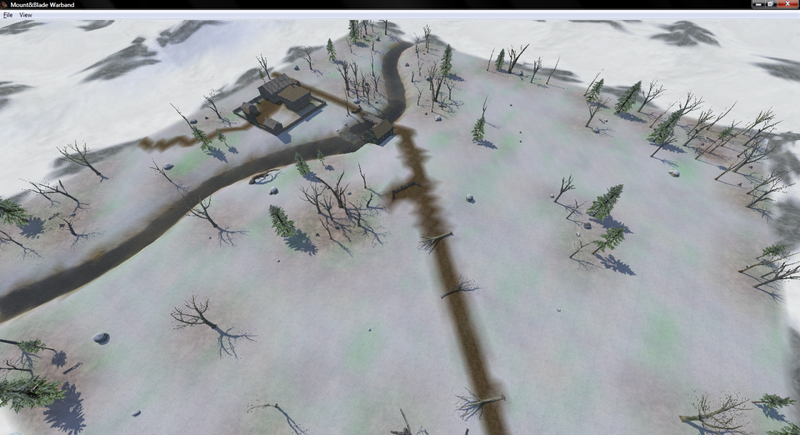 The Americans learn a hard lesson on the unreliability of their militia when using them in offensive operations in Canada. This fort was built by the British in response to losing control of Fort Niagara to the United States when the Jay Treaty was signed. 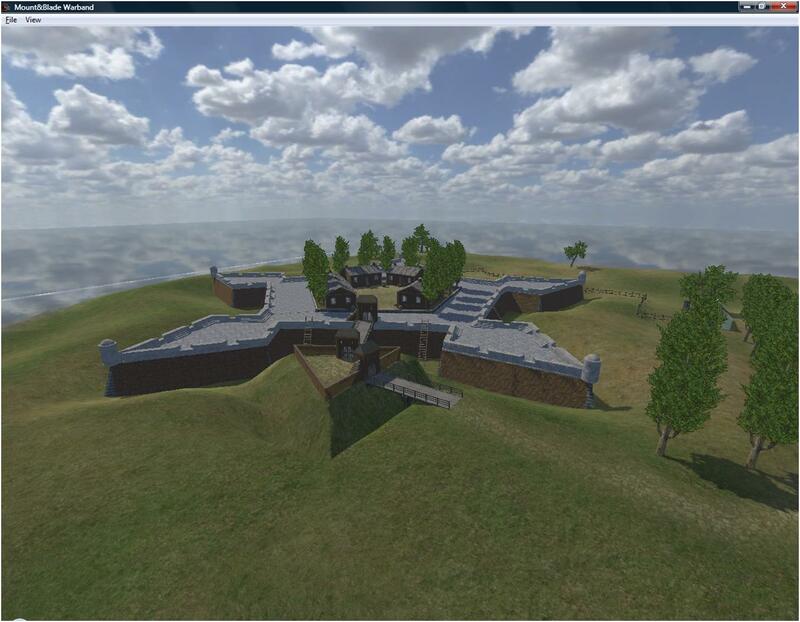 It is located literally a cannon shot across the Niagara river from the above mentioned fort. 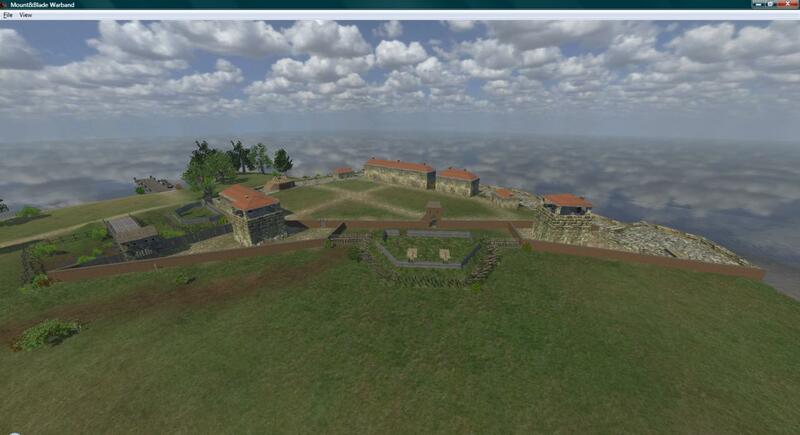 It was the scene of much fighting during the war and changed hands more than once. This fort lays at the end of the navigable portion of the Sandusky river in Ohio which eventually empties into Lake Erie. The unformidable look of the fort is deceiving. A British attempt to seize it from a small US garrison during the war ended with heavy losses. Fort Niagara was originally built by the French some time before the French and Indian War to guard the end of the Niagara river as it empties into Lake Ontario. The map portrays the configuration of the fort as it existed in 1814. 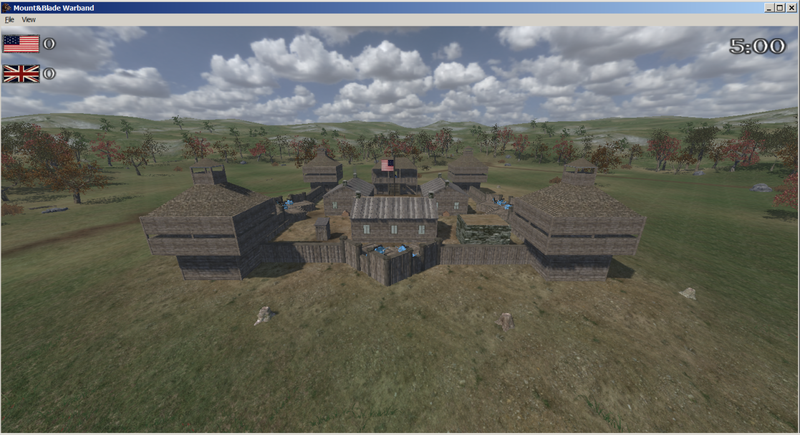 A sneak attack on the fort at night by the British succeeded with no losses as most of the American garrison was drunk at a local tavern. March 1814, US General James Wilkinson attempts to salvage his reputation with an attack on the British outpost near the bridge at Lacolle Mill after the disastrous battle of Chysler's Farm. 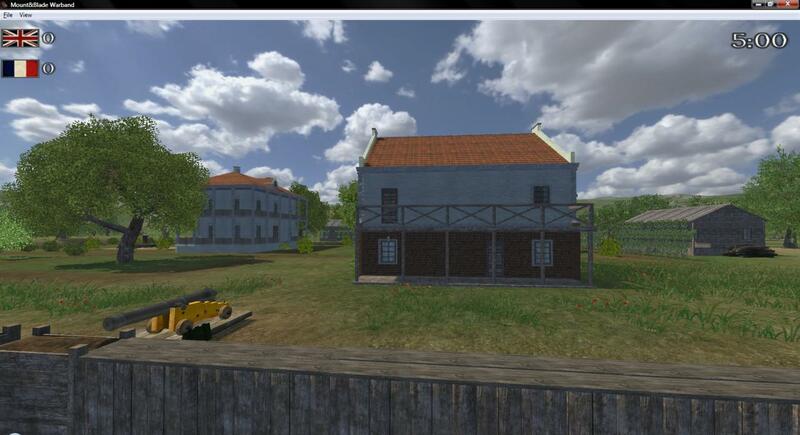 The site contains a large block house surrounded by a stockade that guards one of the approaches to the city of Montreal. 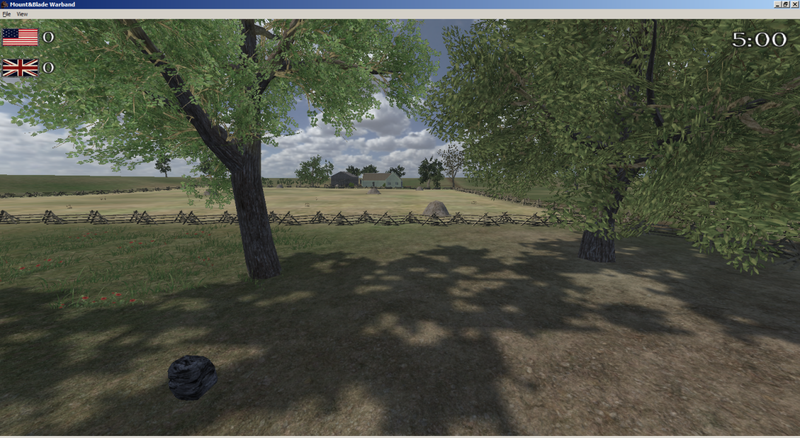 Although heavily outnumbered the British, Canadian Militia, and their Native allies repulse the American attack. After a successful surprise attack on Fort Erie. The US left division now has a strategic base for their invasion of upper Canada. They drive east down the old portage road that runs along the north bank of the Niagara River. 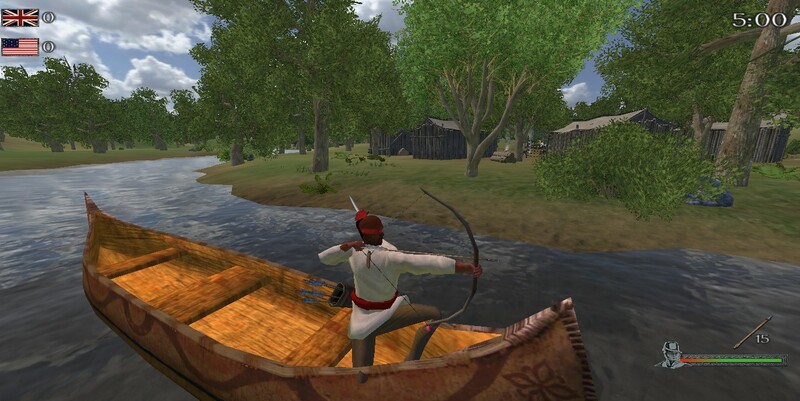 Phineas Riall, the british general in command, decides that the best blocking location is on the already fortified King's Bridge on the Chippewa River next to a village of the same name. Perhaps because of contempt for the quality of US troops, Riall positions his force on the plain in front of the river instead of behind it. Winfield Scott, commander of a US left division brigade, quickly assembles on the plain opposite the British just accross Street's creek after he hears a report from his militia and Iroquois skirmishers in the woods that the British regulars are on the move. 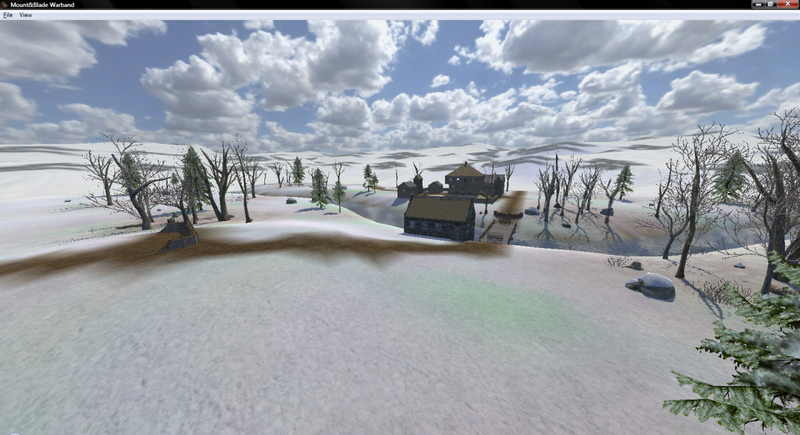 The British and US forces gathering on the plain are of roughly equal size, about 1,000 men. The US artillery make a fortuitous hit on a British ammunition wagon severely limiting their artillery's participation in the battle. The quicker more accurate volleys from Scott's regiments (9th, 11th, 22nd, and 25th Infantry) along with canister fired from the American artillery inflict severe casualties on the British, especially the 1st Royal Scots and the 100th foot. 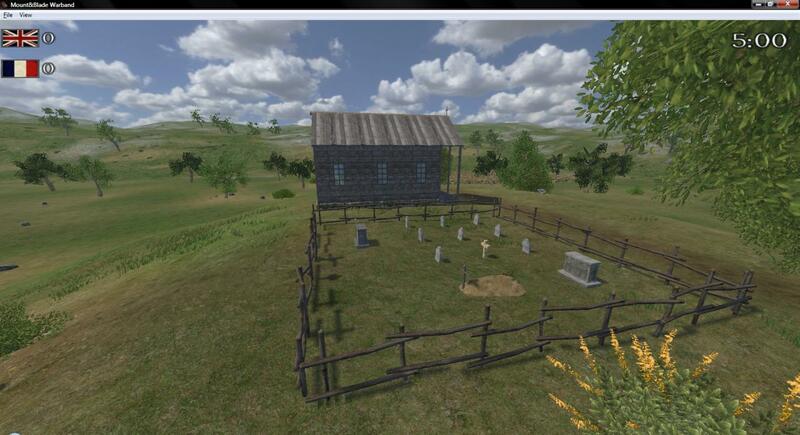 Riall, his own coat pierced by a bullet, orders a withdrawal across King's Bridge and into the village of Chippewa. They destroy the bridge behind them and continue their retreat up the portage road. 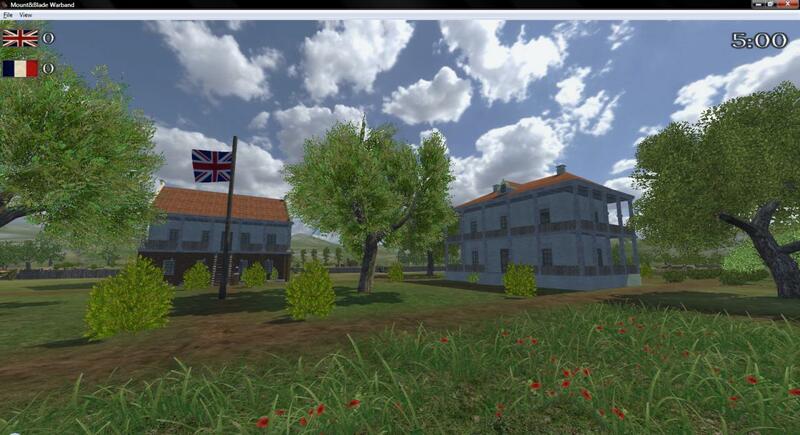 For the first time in the war US troops have met and defeated an equal number of British regulars in combat. 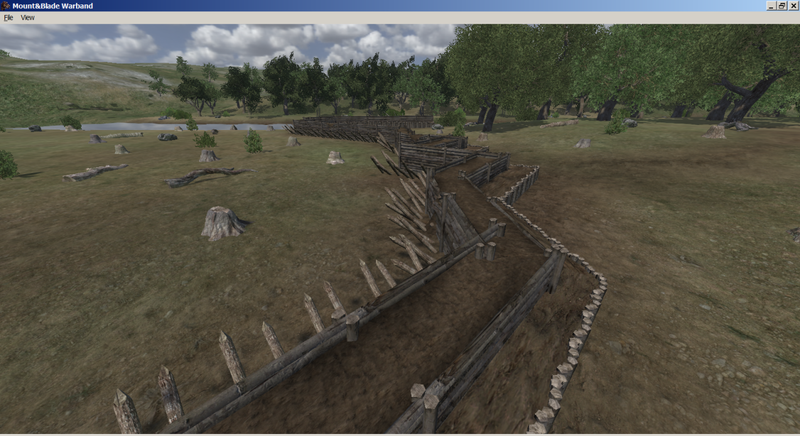 Scott has the bridge repaired and pursues the British who, after being reinforced, decide to make a stand on some high ground traversed by a road called Lundy's Lane. 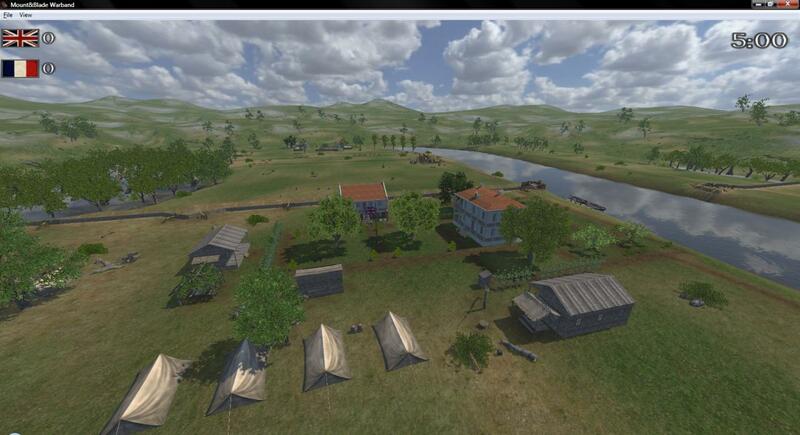 It is the summer of 1814 and once again the US army is preparing for another invasion of Canada. This time it will be a two pronged affair with one force threatening Quebec and the other crossing the Niagara river and moving into Upper Canada (modern Ontario). Commanding the western force is general Jacob Brown. The bulk of his force consists of two infantry brigades, one of which is commanded by general Winfield Scott. Scott is a strict disciplinarian and trains his brigade intensely before the invasion. The hard work bares fruit at the battle of Chippewa, where his brigade of nearly 1000 defeats a similar size force of British regulars. 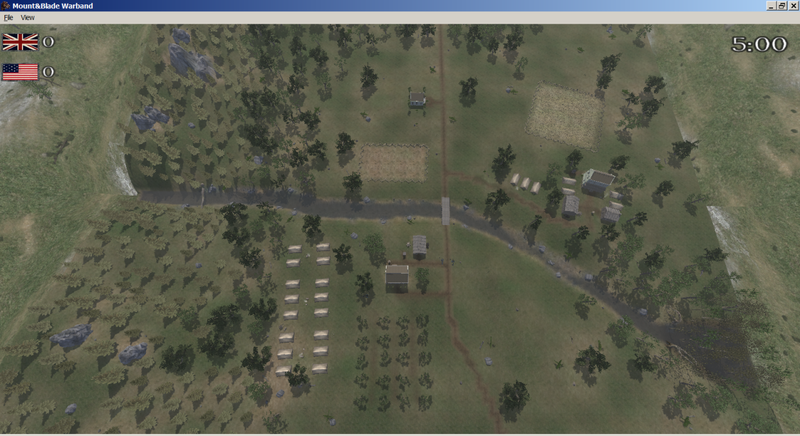 The Americans continue to advance toward York (modern Toronto) until they encounter another British force on the top of a ridge traversed by a road called Lundy's Lane. They attack, capture the hill, and take the British guns at the top in spite of taking fearful casualties from the British artillery. 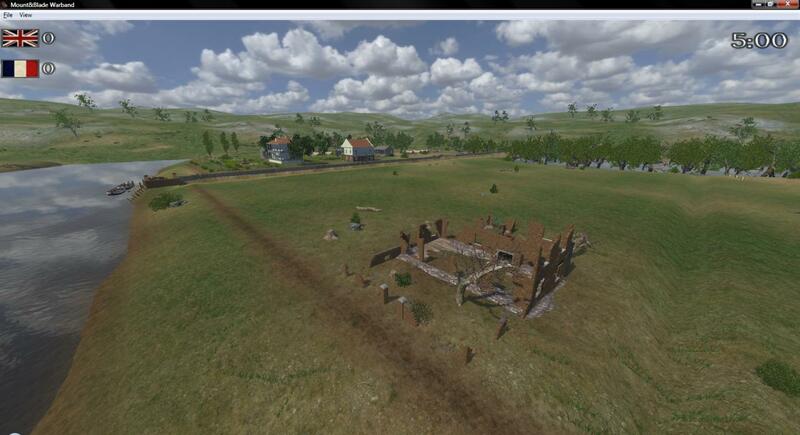 The rest of the battle sees three separate counter attacks by the British in an attempt to recapture their guns. As darkness falls the fighting ends due to mutual exhaustion. 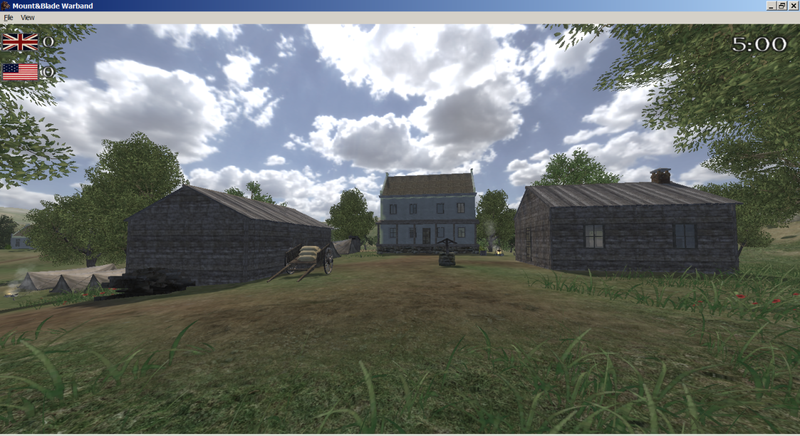 In the morning the Americans are gone along with a few of the captured British guns. The British are too badly mauled to pursue. 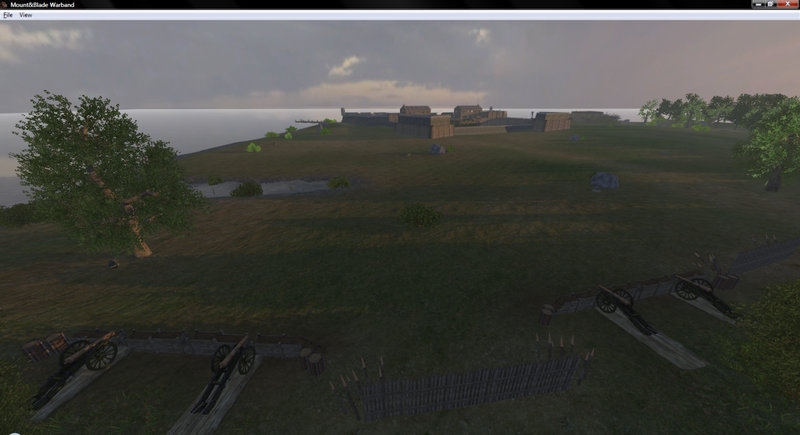 The Americans eventually reach the safety of Fort Erie to recuperate. 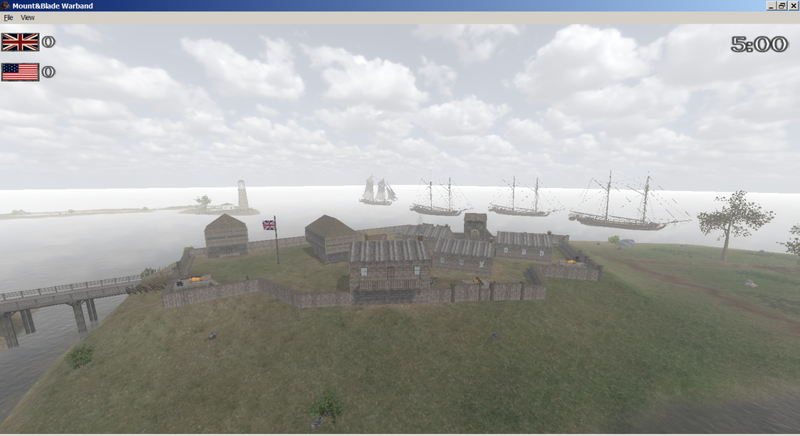 The British are reinforced and decide to lay siege to the fort and hopefully end the American presence in Canada for good. 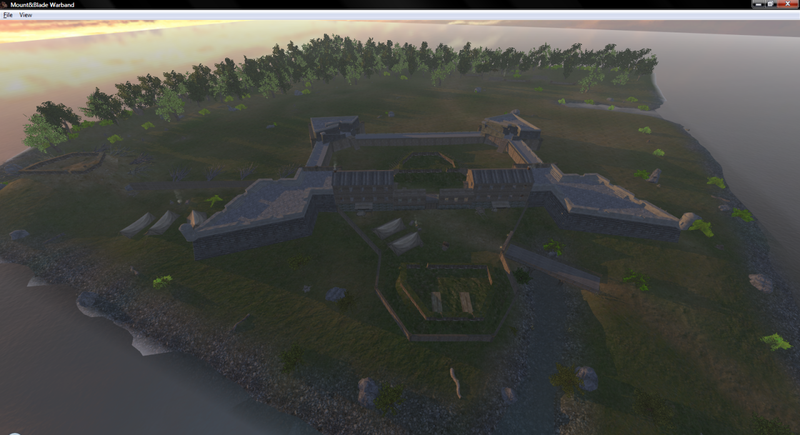 This fort guarded the entrance of the Niagara river from Lake Erie. 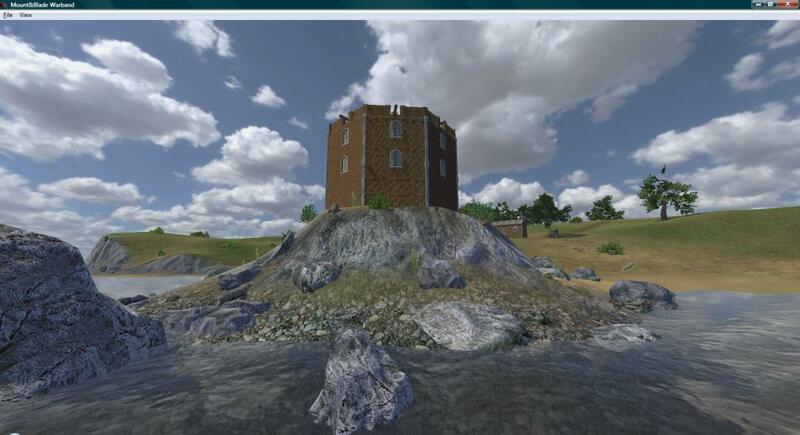 It was the scene of an epic siege that ended in disaster for the British when they accidentally detonated the power magazine beneath the bastion they were attacking. 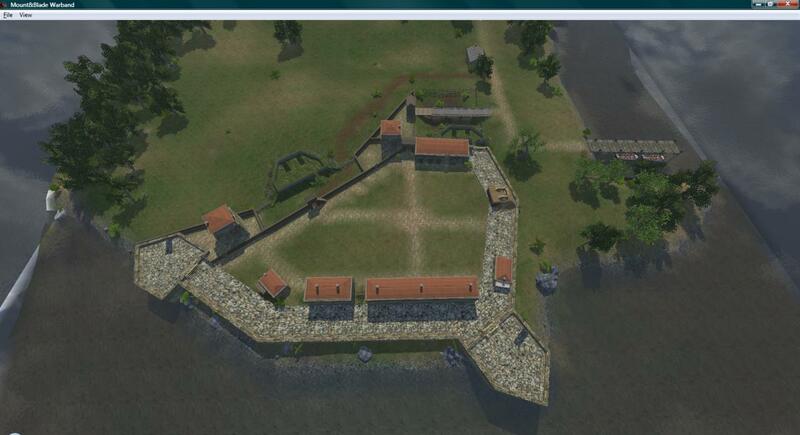 A pretty faithful reproduction of the five bastion star fort that guards the entrance of Baltimore harbor. The shelling and rocket attack by the British on this fort inspired the writing of the US national anthem, "The Star Spangled Banner". After the British burned Washington their next target was Baltimore. Described by the British Admiral George Cockburn as a nest for American privateers, he was eager to destroy it. General Ross and a force of 4,000 troops and 700 marines disembark from the British fleet at North Point, which lays at the end of a peninsula that protrudes into the Chesapeake Bay southeast of Baltimore. 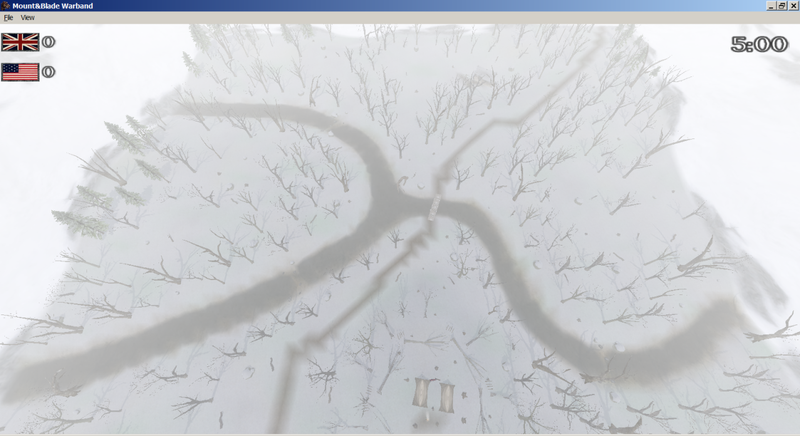 They march north and will attack the city from it's eastern side. 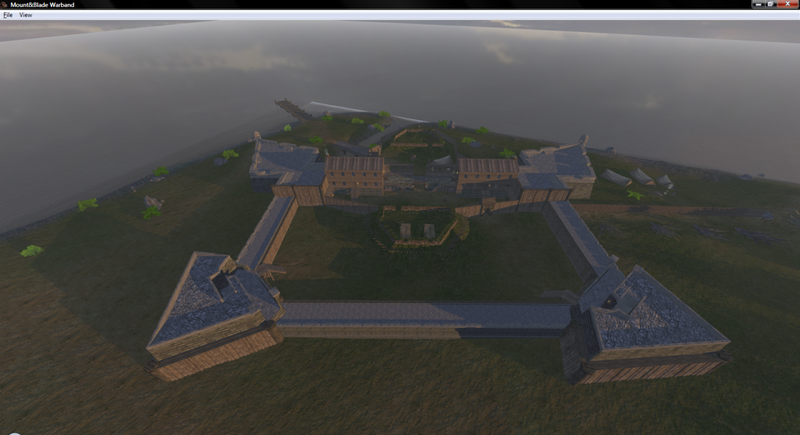 In the meantime the British navy will reduce the fortifications guarding the harbor to the south of the city, one of which is Fort McHenry. 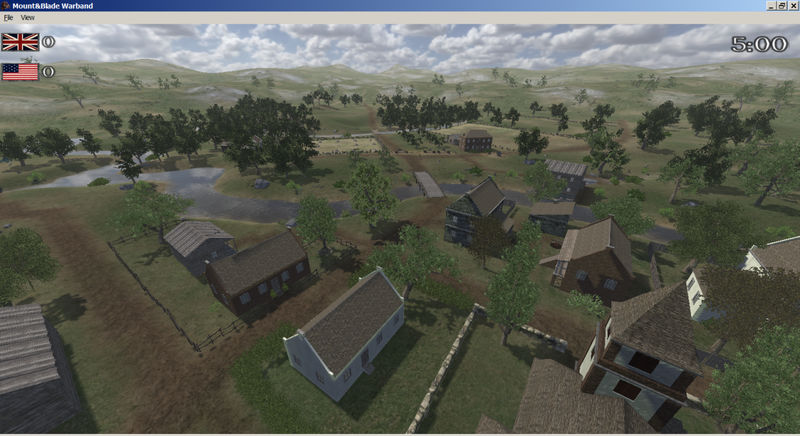 General Stricker, newly in command of US forces in this region, collects of force of 3,000 Maryland militia to oppose them while the citizens of Baltimore complete earthworks to protect Baltimore's approaches from the east. 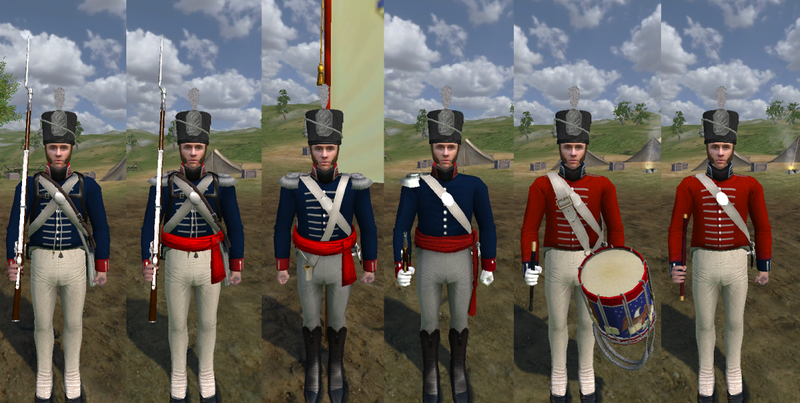 These are many of the same troops that so wildly fled at the Battle of Bladensburg to defend the capitol. As the British approach, the Marylanders hold their ground and exchange volleys with British for more than an hour. 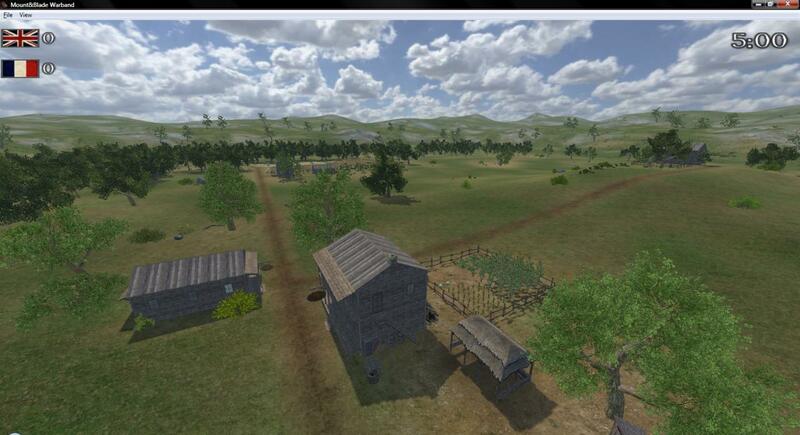 A British charge finally succeeds in dislodging the Americans but they retire in good order. General Ross, the British commander, dies of a bullet wound inflicted by an American sniper just before the start of the battle. 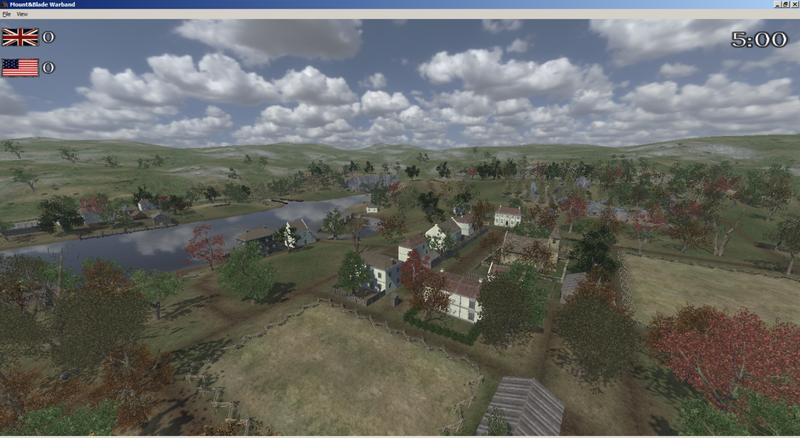 By the time his replacement, Colonel Arthur Brooke, reorganizes the British force and resumes the march north to Baltimore, he encounters a large force of well entrenched Americans ready to defend the city against attack. This, coupled with the failure of the navy to reduce the forts guarding Baltimore harbor, leads Brooke to call for a retreat back to the transport ships. Baltimore is saved from destruction and the British naval task force soon leaves Chesapeake Bay and sails south for new target, New Orleans. December 1814...The British commander of the squadron sent to capture New Orleans, Vice Admiral Cochrane, develops a plan of attack that declines the option of approaching the city by sailing up the heavily fortified Mississippi River from the south. Instead he decides to come from the east through Lake Borgne which contains bayous that can take them within a few miles of the city and cut off the forts further south on the Mississippi River. While scouting Lake Borgne, the British site American gunboats patrolling the lake. Lieutenant Thomas ap Catesby Jones commands the US naval task force assigned to guard Lake Borgne. He is badly outnumbered and outgunned by the British but he takes his gunboats and blocks the entrance to the lake by grounding them at its mouth to the Gulf of Mexico. The waters in this area are too shallow for the gunboats to be attacked and boarded by the large ships of the British squadron. 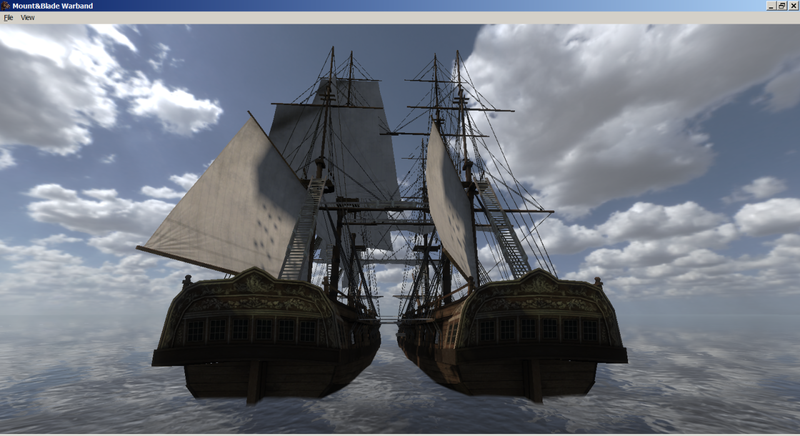 In response the Royal Navy mounts bow chaser guns on their ships longboats. They plan to row them toward the Americans, board and destroy them, and thereby gain access to the lake. 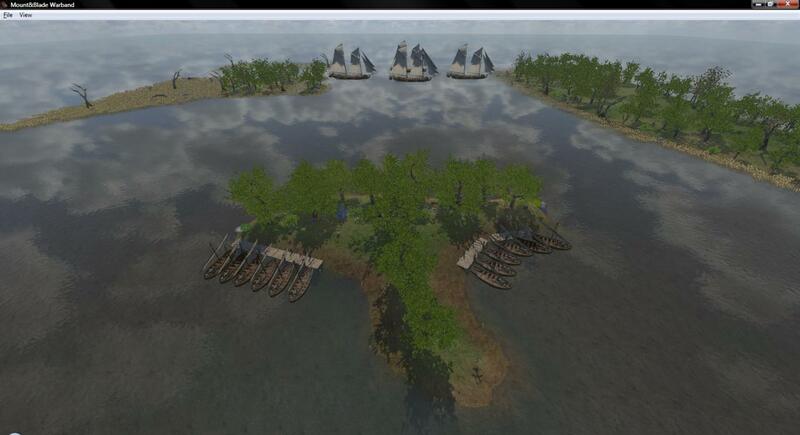 The British lose two longboats sunk, 17 killed, 77 wounded in the attack but they succeed in capturing or destroying all the American gunboats, killing 6 of their crew, wounding 35, and capturing 86. In spite of the victory it has taken the British considerable time to prepare and mount the attack. 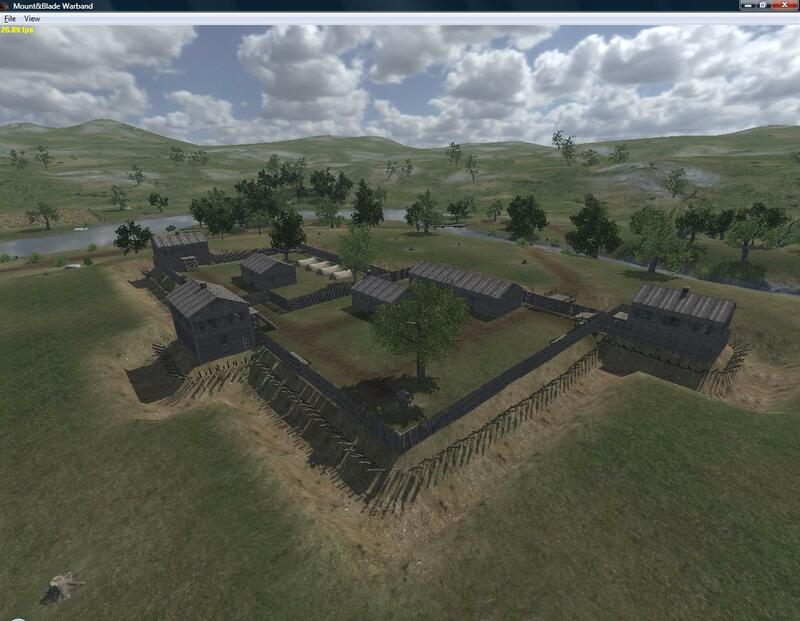 This allows General Andrew Jackson's American army more time to complete field fortifications just outside New Orleans. This map is a set up as a naval siege since the Americans or defenders are supposed to be badly outnumbered and fighting a delaying action. The defenders boats have been grounded and are therefore not moveable. 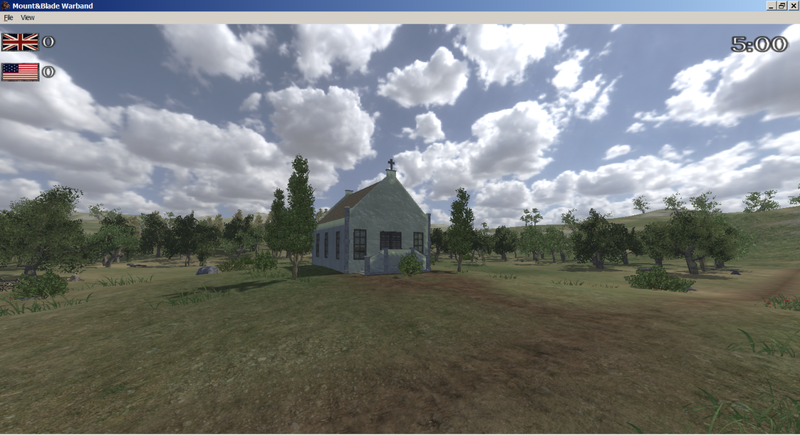 The attackers spawn on St. Joseph island. Fire support for the attack will be provided by guns on the frigates lying in the deeper water of the Gulf and two guns and a mortar located on the island. 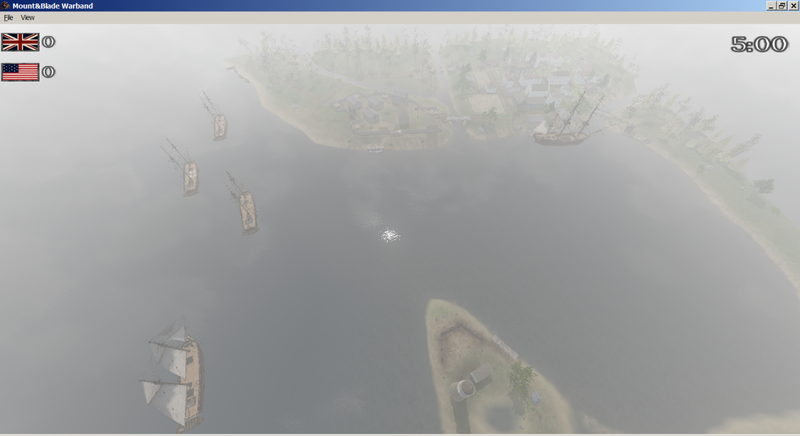 The objective for the British or attacking player is to capture the flagship behind the first line of 3 gunboats. January 1815, after some punitive raids along the US coast, one in which the new capital of Washington was burned, a British naval task force next sails south into the Gulf of Mexico. Their objective is the city of New Orleans at the delta of the Mississippi River. A British presence here would allow them to control all the trade coming out of the interior of the American west including the newly US purchased Louisiana Territory. 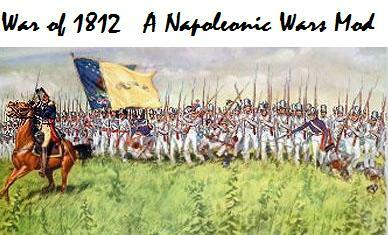 The sale of which many see as invalid, especially Britain's ally against Napoleonic France, the Spanish. 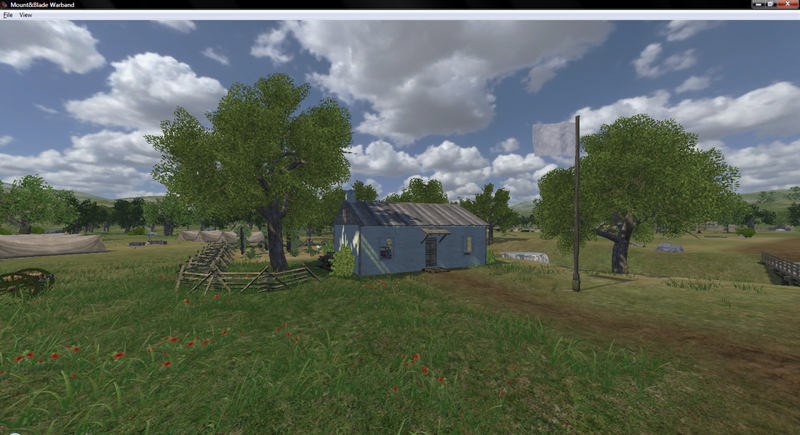 The US commander in the southern theater is Andrew Jackson, the recent victor in a series of battles against the rebellious Red Stick faction of the Creek tribe. 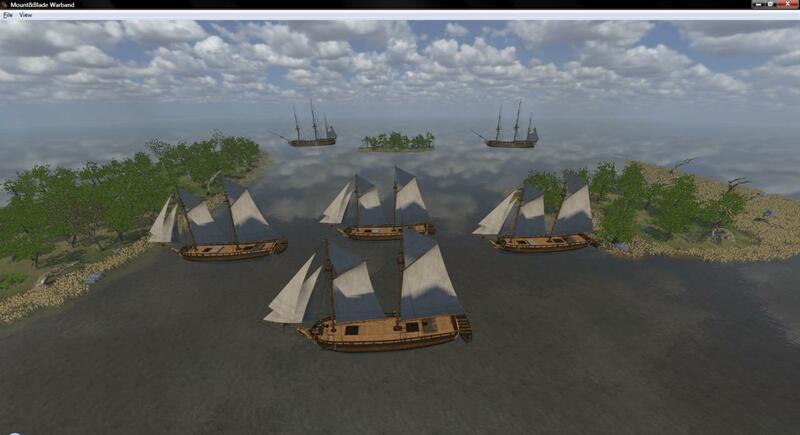 Word spreads of the direction the British fleet is taking and Jackson gathers his forces around New Orleans. After some harassment of the British landing force, Jackson positions his force along a dry canal bed flanked by the river on one side and a swamp on the other. 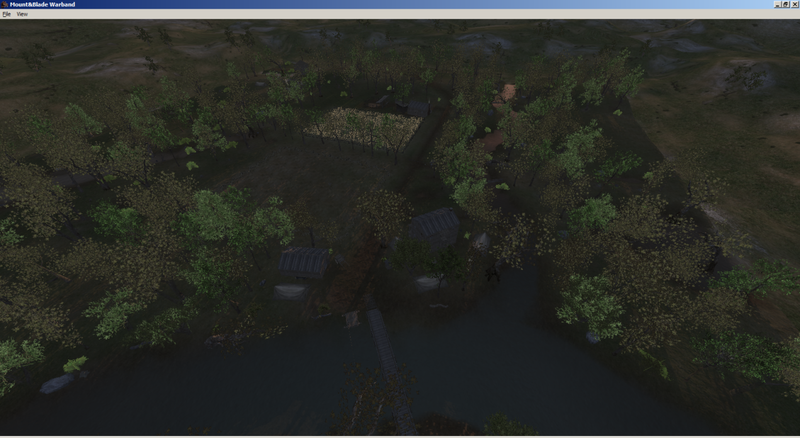 On the opposite side of the river are more field fortifications and guns guarding an even narrower strip of land. 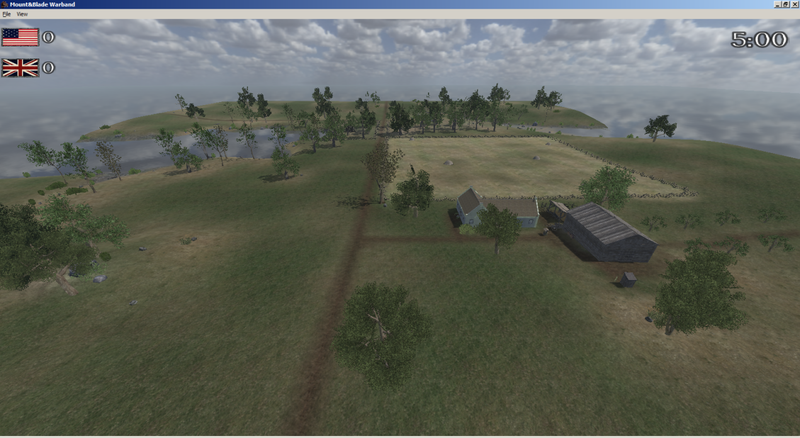 The British under General Pakenham send a force by boat across the river to attack this position as well as a much larger force to attack the main US position directly opposite. However, the attacks are poorly coordinated and by the time the attack on the opposite bank succeeds, the main British attack has already failed with devastating losses, including General Pakenham who is killed while trying to rally his faltering men. 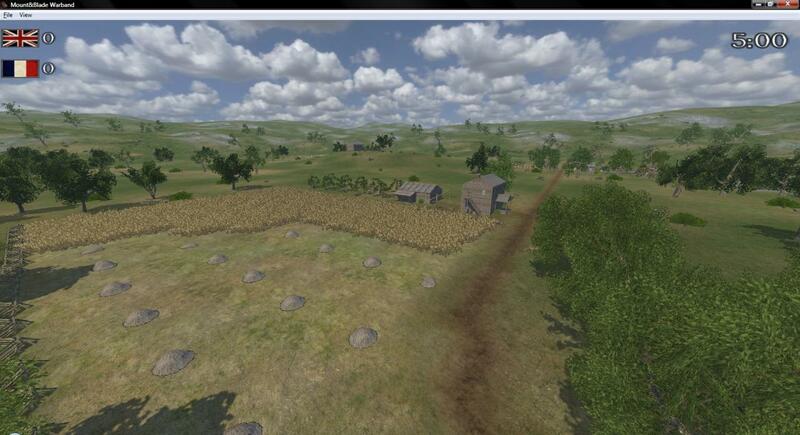 The Americans inflict 2000 casualties on the British while suffering less than 100 of their own. P.S. The battle was fought after the Treaty of Ghent ending the war was signed due to the transit time needed for word to cross the Atlantic. Martello Towers were fortifications built during the Napoleonic Wars for coastal defense. They were especially numerous on the coasts of England because of fears of a potential French invasion but were used throughout the world including Canada and the United States. 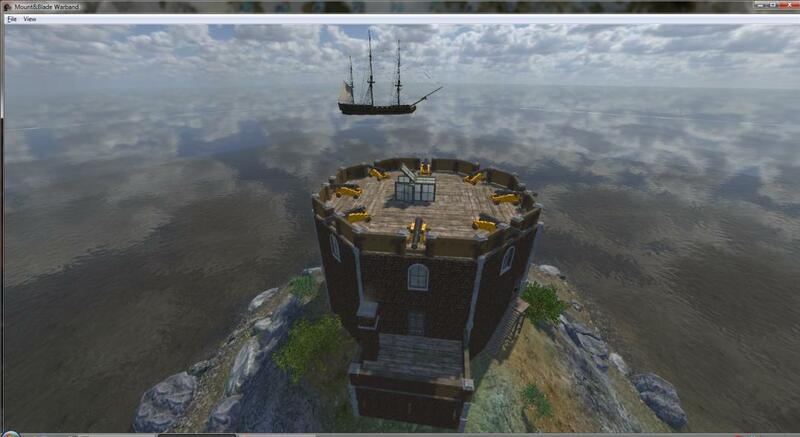 They consisted of a round sometimes octagonal multi-storied tower with the heavy guns mounted on the top. 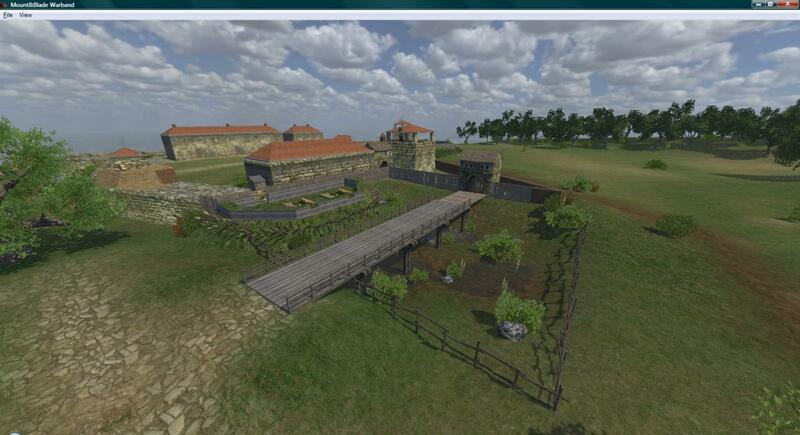 Lower floors contained storage and living quarters for its garrison. 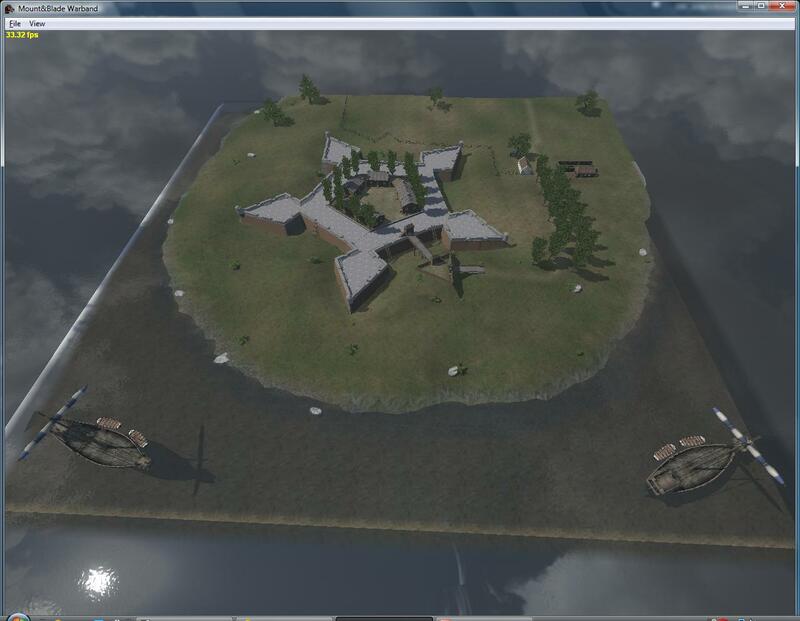 Attackers will man the artillery located on the ships off the coast and send landing parties via boats to the shore to seize the defenders flag located at the top of the tower. 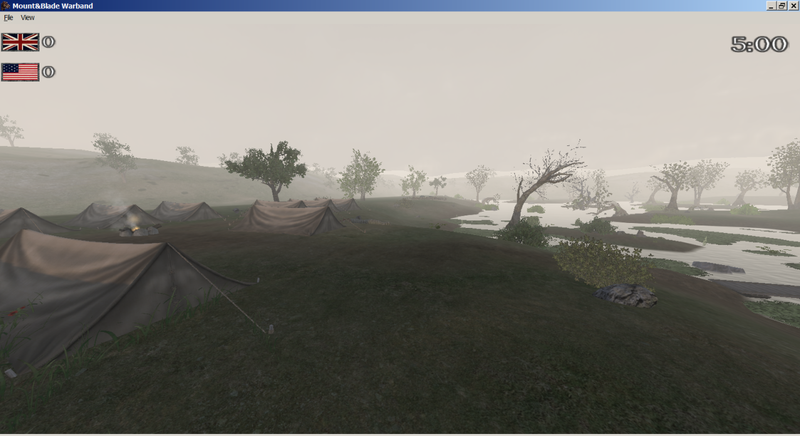 The shorelines below the cliffs are inaccessible to defenders to give the attackers a secure place to land. 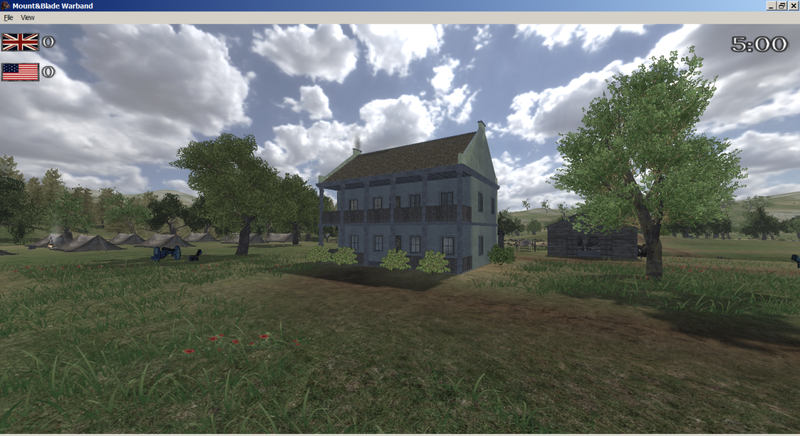 White House (Siege) Made by FiatNova. 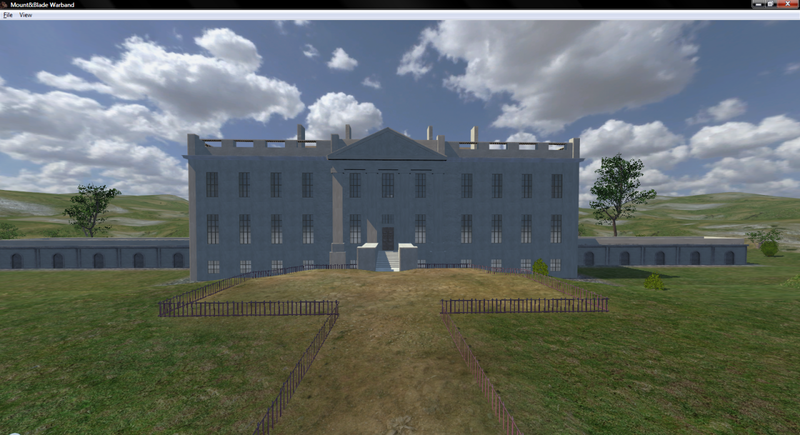 This map is the residence of the President of the United States as it would have appeared in 1814. 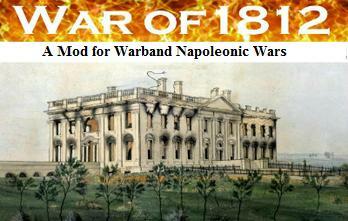 It can be used to explore hypothetical scenarios for the War of 1812. For example, what if the US army had regrouped after Bladensburg and decided to defend the capital in one last-ditch effort to save it from destruction. Or, what if the British had been counter-attacked just while sitting down to eat at James Madison's dining room table. Unfortunately, this White House is not flammable but there is available artillery for attackers to shoot plenty of holes in it. This is not a map of any historical encounter that took place during the War of 1812. It is simply a scenario map for raids across the US - Canada border to gather prisoners or valuable intelligence. 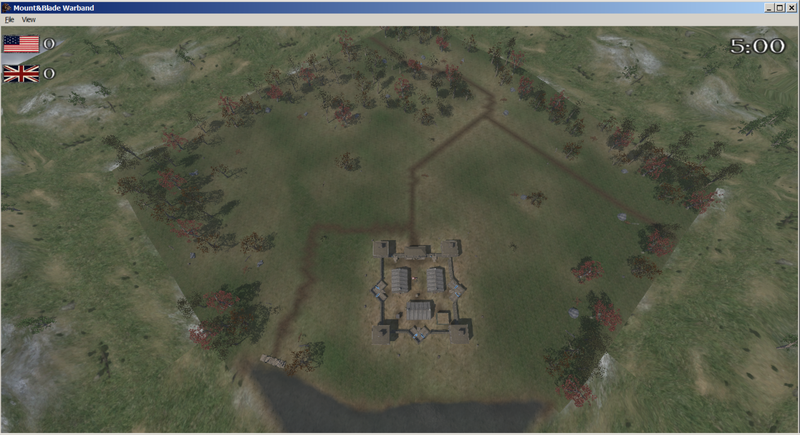 The camps for each side are on opposite corners of the map. 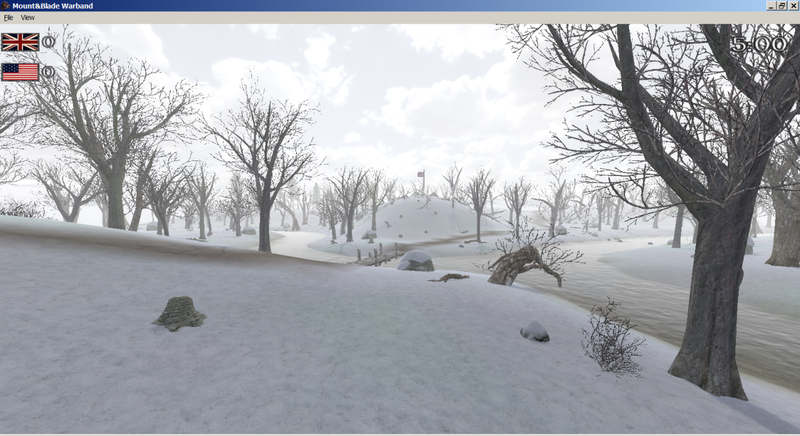 Players will have seek each others bases out without being intercepted or detected by the other side. Based on a historical raid into Upper Canada where the Kentucky Mounted Militia sought to destroy the British Army's ability to supply themselves with flour for baking their bread rations. A hypothetical scenario where the British task force off the Atlantic coast seeks to destroy a US observation tower guarded by earthworks near the mouth of the Chesapeake Bay in preparation for their attack on Washington and Baltimore. A Anglo-Canadian Force of about 900 make contact with the rear guard of a large American force on the North bank of the St. Laurence river. The Americans attack before their artillery are able to come into action and they are defeated by the more disciplined volleys of the British 49th and 89th Regiments of foot. 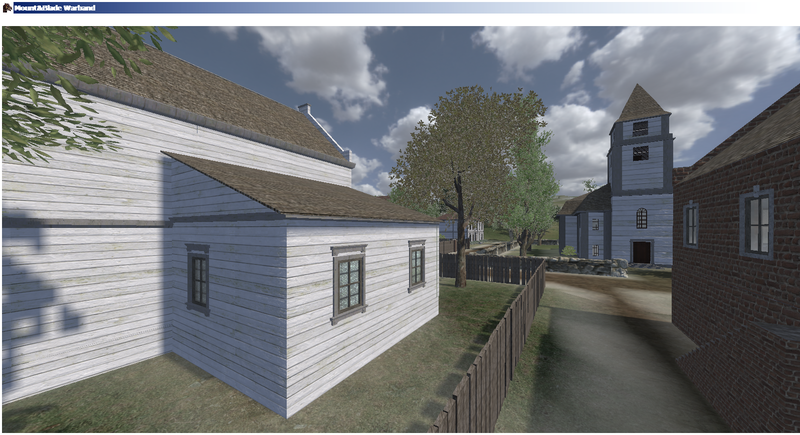 The demoralized Americans then abandon their planned drive on Montreal and retire back to Plattsburg for winter quarters. 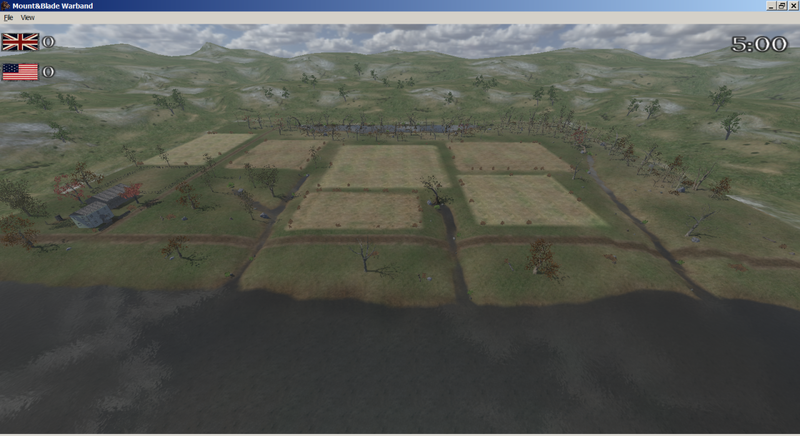 After the battle of Lake Erie the retreating General Procter and Tecumseh decide to make a stand just before Tecumseh's base of Moravianstown near the Thames River. 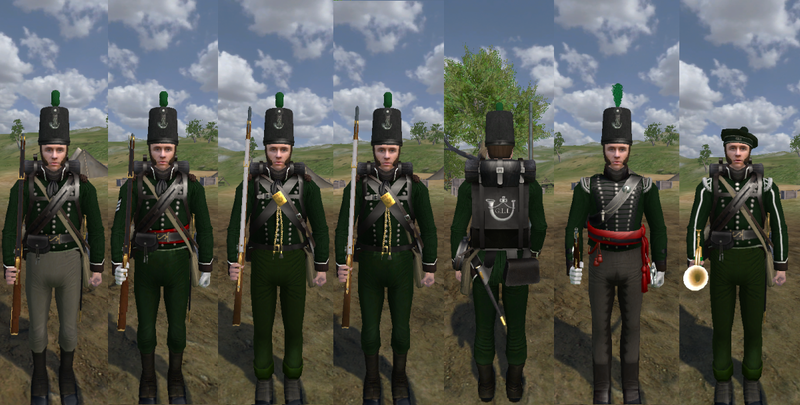 The British infantry place themselves in open order. They are charged by nearly 1000 Kentucky Mounted Rifleman armed with long knives and tomahawks in the largest cavalry attack of the War. 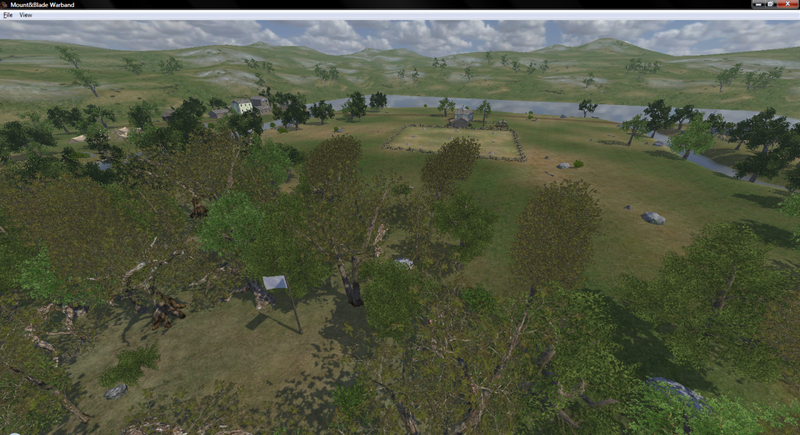 The British are rode over and through and then subjected to a dismounted volley by the Kentuckians. 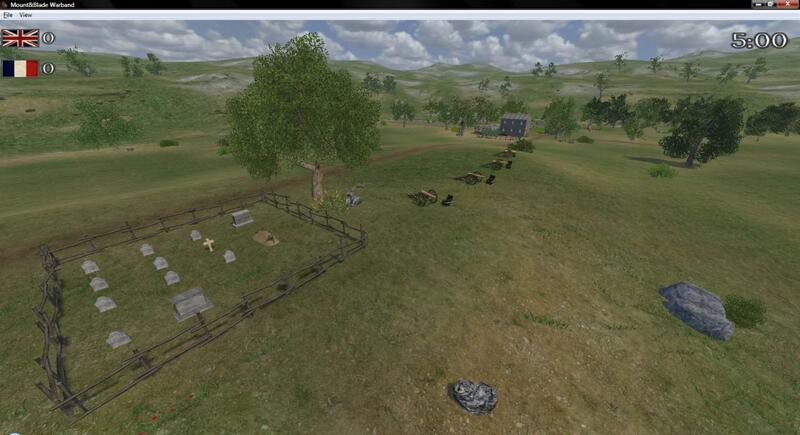 This is too much for them and they break and run from the field along with General Procter. Tecumseh and his warriors continue to fight in the swampy scrub brush of the battlefield in desperate hand to hand fighting. 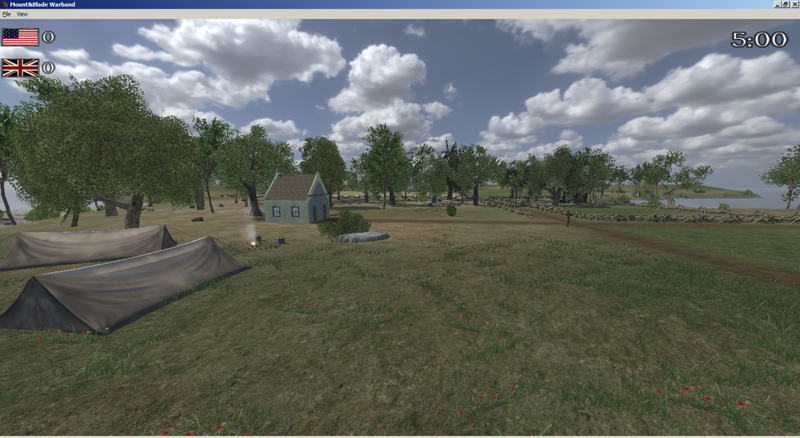 Tecumseh is killed at this stage and the battle is over. The Americans capture over 500 prisoners and the native confederation never regains it's former power in the Northwest theater of the war. Rule Britannia! Kill those Yankees! Britain won the war. We burnt your white house, and your invasion of Canada was easily repelled. Im not gonna go ahead and start this debate here...but you couldn't be more wrong! Calm yourself, I'm always right. Whoever painted that image should be arrested. 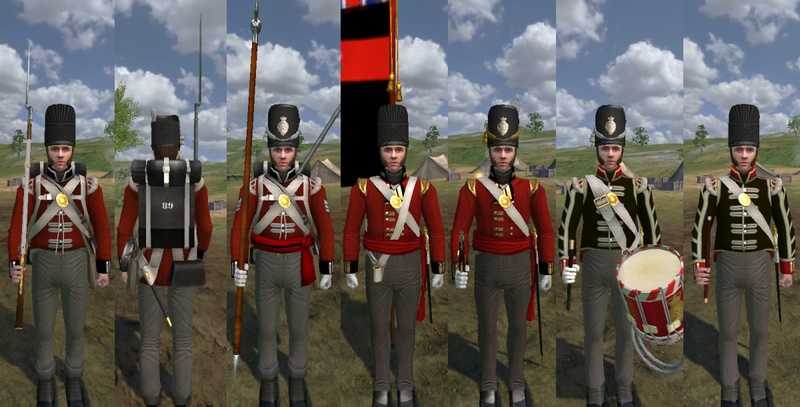 They got literally every single British uniform wrong. They even got the flag wrong. Anyway, good luck with the mod. It's always been subject that interests. The defeat of the American invasions was one of the most important events in my country's history, after all. I do worry that you'll be a bit biased, as previous War of 1812 mods have been, based on your choice of a painting showing one of the few major American victories, and one that was completely inconsequential, having occurred after the war ended. Nice, I will be keeping an eye on this. Right lads off to burn down the whitehouse wish me luck. Pretty well the definitive account of the War of 1812, there. With the quality of the American army at the time, you'll pretty much just be able to walk in there and burn it. I think I'll come with you!